Plaza Rotarians at the Rotary International Reach out and Read Event. We also received of hugs and even a lunch invitation from our new friends. Joanna B. knows how to mesmerize the littles. Terry P. can read, too! Who's that guy taking pictures of us while Miss Melynn tells us a story? Bring your sweetie for our Sweetheart Breakfast this Friday, February 15. If they truly love you, they will get up early and go to Rotary! From "Love Poems for Married Couples" by John Kenney. They will watch no television. And we will take pride in our being better. Do you know who our friend is? And, yes, you can have Mentos for breakfast. For more of his poems, click here, or buy his book here. 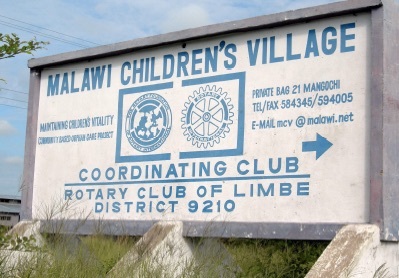 Bill Schmidt and Elizabeth Usovicz presented last Friday, February 8, about our club's activities and ongoing support of the Malawi Children's Village. One last Saturday to help out at Urban Ranger Corps! Saturday, February 9, 8 to Noon! 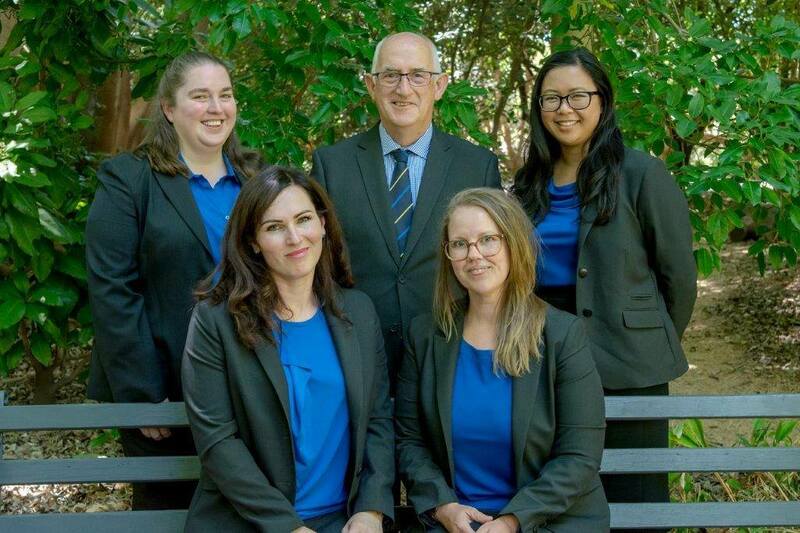 As part of the GSE exchange, the Australian District 9520 will also be sending a team here to District 6040. Current planned schedule is for Plazans to pick up our Australians April 14 at the Intercontinental Hotel, and pass them to the Chilicothe Club April 18, 2019. Email Jane Brown if you'd like to host, drive, or participate in any way. Plans are still being formulated.... More details to follow soon! Also, Club President Randy Steinman with John Constance, Lucy Betteridge, and Melynn Sight. So excited to share friendship and service with our new members! 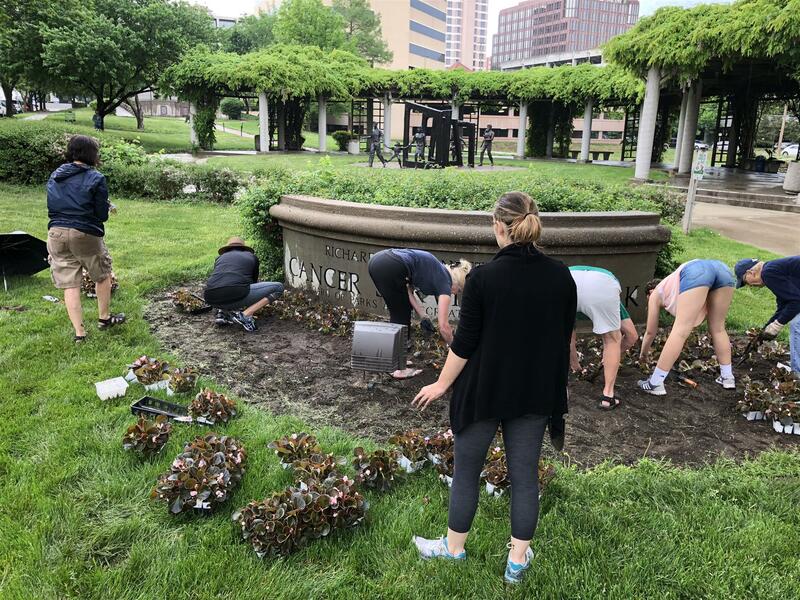 As part of our District Grant application, the Plaza Rotary will have 5 work Saturdays at the Urban Ranger Corps, 5908 Swope Pkwy, Kansas City, MO 64130. 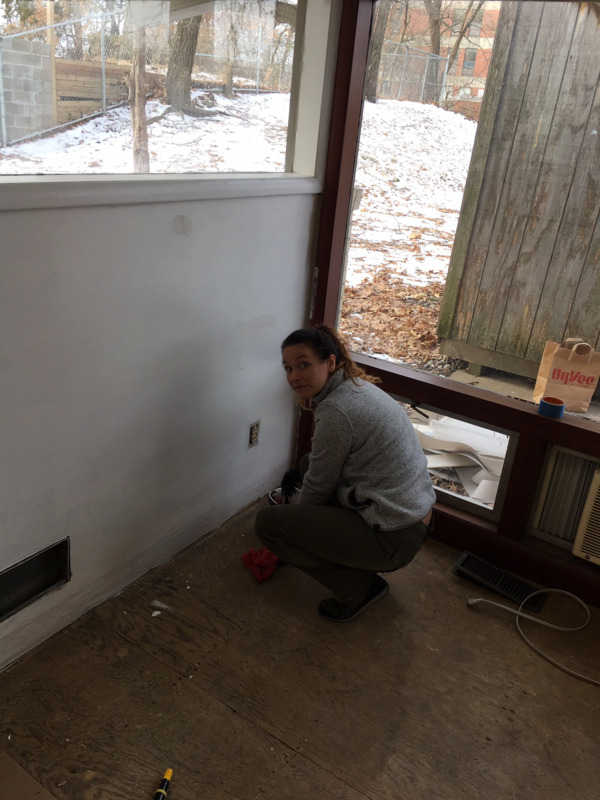 Show up anytime between 8AM and Noon, ready to put in some Sweat Equity, to help make some updates to the Conference Room! Jan. 5, 12, 19, 26, and Feb. 2, 2019. If you have a tool belt, bring it. If you don't, show up anyway and Mindy will give you something to do!! At our last meeting before the Holidays, President Randy Steinman presented checks to the two beneficiaries of the KC Games for Good. In spite of the washout this year, with approval of the Club Foundation Board to forego the typical 25% contribution of event proceeds into the Foundation, we were able to contribute $9,104.00 EACH to Hope House and the Urban Ranger Corps. That’s a pretty Big Check! Thank you all for your generosity and hard work to make this event bigger and better each year. 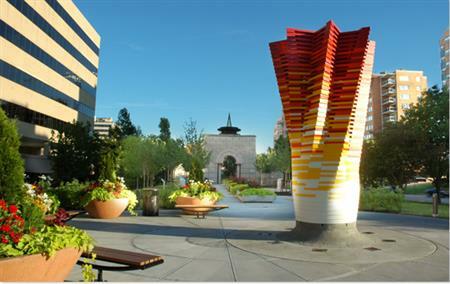 The Rotary Club of Kansas City Plaza, chartered originally as the Rotary Club of Ward Parkway on December 15, 1986, has become one of the leading Rotary clubs in District 6040 in its short history. Sponsored by the Rotary Club of Kansas City, the club first met on Tuesdays at noon at Costello’s Greenhouse at 85th and Ward Parkway. 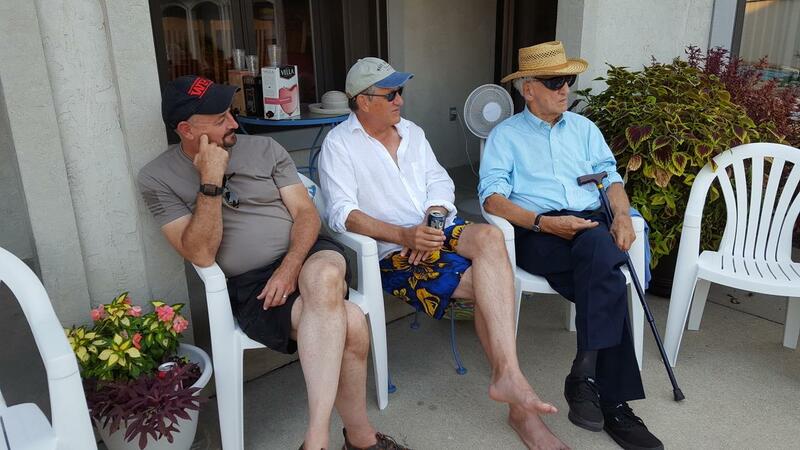 Three of the 27 charter members are still members of the club – Jerry Smith, Doug Zimmerman, and Bob Latz, all of whom later served as club president. In 1994, the club moved its meetings to the Country Club Plaza and changed to a breakfast meeting on Fridays. The first Friday morning breakfast meeting was held at Fedora’s on the Plaza on September 9, 1994. The club changed its name to the Rotary Club of Kansas City Plaza, with Rotary International’s approval, on January 1, 1996. Good fellowship and camaraderie, great club programs, and a mission of “Service Above Self” have marked the club’s 32 years. 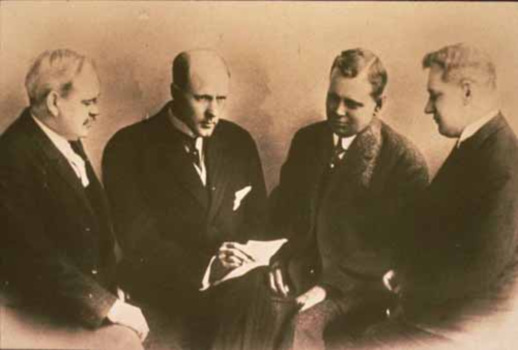 In the early years, member Rotarians formed numerous golfing groups, attended the ballet and musical performances together, had nights out at professional and UMKC sporting events, and worked together on many service projects. 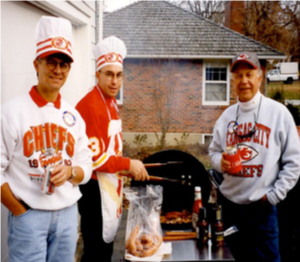 The longest-running social gathering has been the annual “Chiefs Watch Party,” started in the mid-1990s, when members gather to watch a Kansas City Chiefs away football game. More recently, several members have met regularly to sample single-malt whiskeys from around the world. We at UMKC Enactus - Rotaract will be at the Rotary Meeting on Friday, December 21st to talk further about Educate to Elevate, and we’d deeply appreciate your help in reaching our goal! We at UMKC Enactus - Rotaract believe in creating positive change through entrepreneurial action. We know that all children deserve access to a quality education, one that is not disrupted by a lack of necessities. So, we have been working tirelessly on a mission to provide a safe environment for the children of Ogwuokwu, Nigeria to learn in. We have financed, designed and implemented a sustainable well and sanitary facilities in 2017-2018 and have provided clean water and sanitation for 400+ students and teachers at the Ogwuokwu Community School. Now, we plan to repair their main educational building so that they have a shelter to grow and learn. Partnering with Revocup Coffee Co., a local coffee shop in Kansas City, is a continuation of these efforts. Revocup hosts some of the best quality coffee in KC. Their beans are sourced directly from Ethiopian farmers, enabling the farmers to keep the profits they’ve worked so hard to earn. Buy a 12oz bag of medium-roasted Revocup™ Coffee to support the Ogwuokwu Community School. • Each bag is $20 USD with 50% of proceeds going directly to the construction of the school building. FOR MORE INFORMATION, CONTACT PROJECT LEAD: RUWEIDA KULANE . 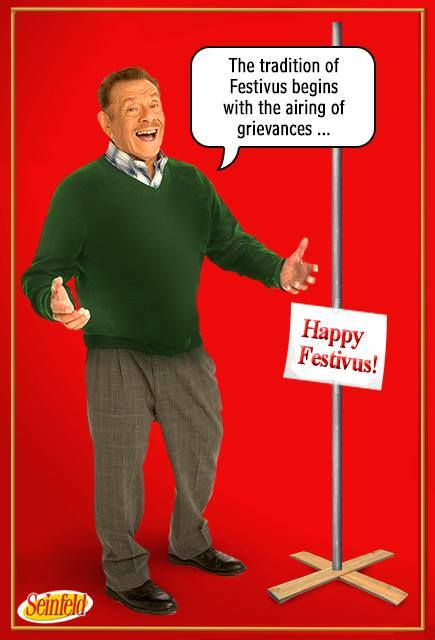 Unlike the Festivus holiday which starts with the Airing of the Grievances as we gather around the Festivus Pole, the Plaza Club Assembly Part 2 should come with suggestions and solutions! Looking forward to everyone's ideas and input! Vic Swyden, Past President at Plaza Rotary Club, passed away last Sunday, December 9, 2018. Our condolences to his family. Obituary here. Lindsay Stodden, the volunteer coordinator from Operation Breakthrough that presented to us on December 7th, provided this link to the marvelous video that she was not able to run on that day. Please be sure to check it out! 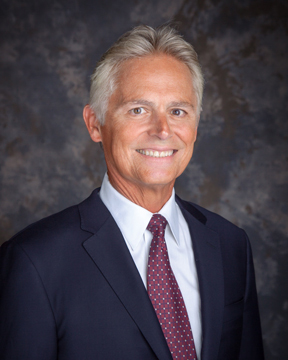 Erik Dickinson, President Elect for July 2019-June 2020, would like you to think about serving on the Plaza Rotary Board of Directors during his term. It's a great way to learn more about all that our club does in the community, and to get to know other Plazans. To learn more and see who's currently filling those roles and ask questions, check here. The Club is committed to serving four Saturday night Holiday dinners to the 24 residents of the Bridge Home for Children during December. Volunteers are in place, and have been sent a reminder email about their commitment. Please contact Paul Temme if you did not receive the email, or if you can no longer fulfill your commitment. If you'd still like to help out, reach out the the Rotarian on the list. Planned Meal List- Click Here. 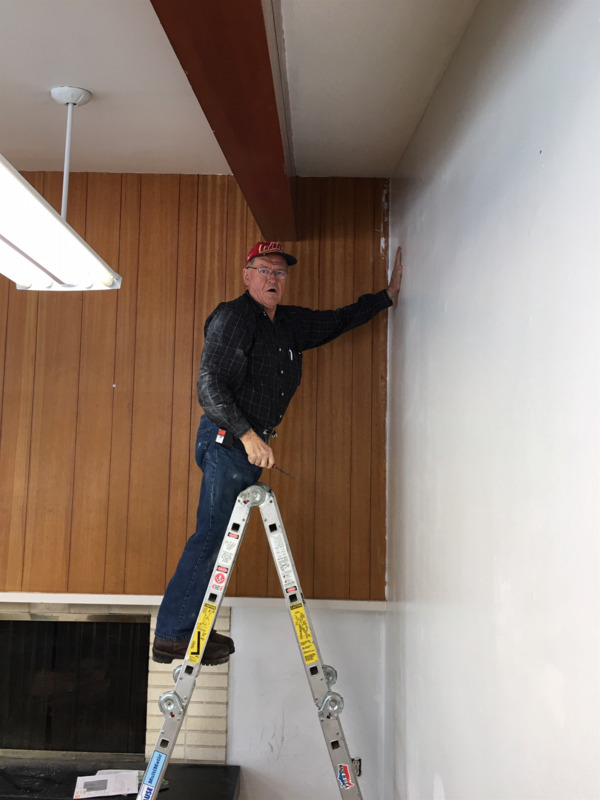 Our Club is renovating the main conference room in the Urban Ranger Corp headquarters for this year's District Grant Project. We will undertake the project on five successive Saturday mornings beginning January 12th. No special skills required: it will entail light demo, painting, and carpet tile installation. The project will require 5-6 volunteers for each Saturday from 8-12 noon. Volunteer sign-up sheets will be available Friday, November 30th. Bo Steed says just show up, with or without your toolbelt, he will give you something to do! 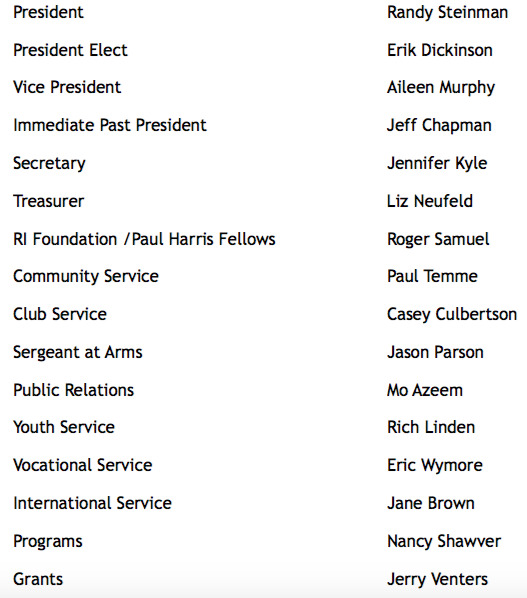 Congratulations Plaza Rotary Club Members! 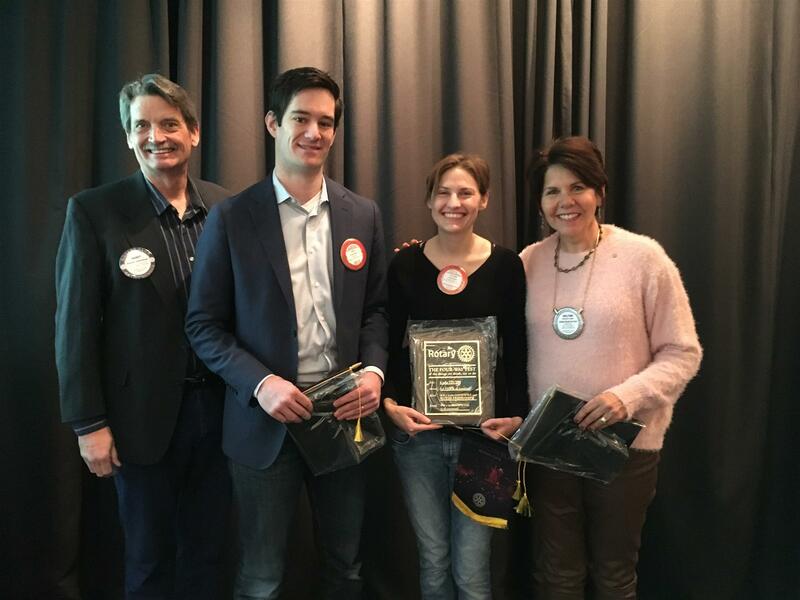 At the recent District 6040 Rotary Foundation Dinner, Plaza Rotary received several awards and recognition for our support of Rotary both locally and internationally during the 2017-18 Rotary Year. We were recognized as a Star Club Level 4 which means that on average we contributed between $400 and $499 per capita to the Annual Fund/SHARE program. This is the program from which funds are made available for District Grants - every year, 50% of the District monies given 3 years ago are made available for District Grants in OUR District. In fact, Plaza Rotary was second highest in the District in per capita giving to this Fund at $441.04 per member! Thank you for supporting our fund raisers and for your generosity! We also were recognized for achieving the District goal of $1500 per club to the End Polio Now program. These monies went to Polio Plus that will help us achieve The Rotary Foundation’s number one goal - The Eradication of Polio. We achieved this goal through our Pars for Polio sponsorship and our monthly contributions to Polio Plus (the additional $25 in your quarterly dues). Congratulations on achieving the club goal and the per capita giving goal towards this worthy effort! Plaza Rotary was awarded the Presidential Citation - an award that requires the club achieve several goals in multiple categories including a net increase in membership and projects in designated areas of focus. The major District award that our club received was the coveted Klinginsmith Cup. This award was started in 2009-10 in honor of our Rotary International President, Ray Klinginsmith, from the Kirksville Rotary Club, who served as RI President in 2010-11. We received this award based on receiving the Presidential Citation and our contribution to the Annual Fund/SHARE. This is the 7th year we have been awarded the Cup. Well done! On behalf of Club President Rotary Year 2017-18, Jeff Chapman, THANK YOU for all you do in the name of Rotary! 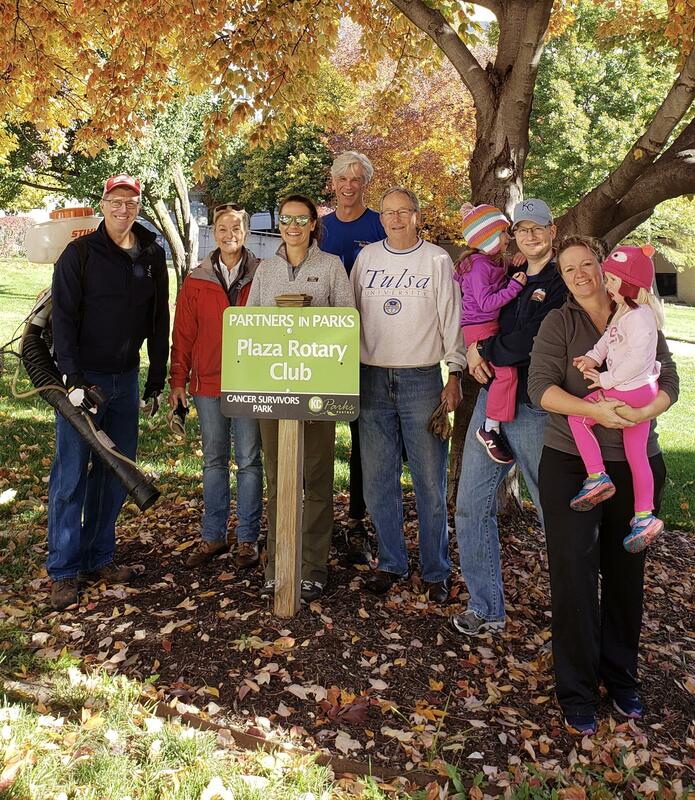 Thank you, Plaza Rotarians, for your help at Bloch Park Fall clean up. If you want to make a real difference in your community, join Rotary! We'd like to announce our recent new members! Be sure to say hello when you see them Friday morning. This service date has been changed to Saturday, October 27th because the earlier date conflicted with the Kansas City Marathon. Reach out to Paul Temme at paulctemme@gmail.com if you missed the sign up sheet but would like to help. Volunteer at Harvesters as part of the District "Food Fight"
We have only 10 volunteers to date, and welcome more. Contact Paul Temme (paulctemme@gmail.com) or Casey Culbertson (culbertson.casey@gmail.com), to sign up and get details. Good morning. If you were at this morning’s meeting, you already know we have decided to cancel the 2018 Games for Good Event tomorrow, 10/6, due to the rain. We do not make this decision lightly. We had a record number of teams and exhibitors, but feel that this is in the best interest of all participants. This is an outdoor event. 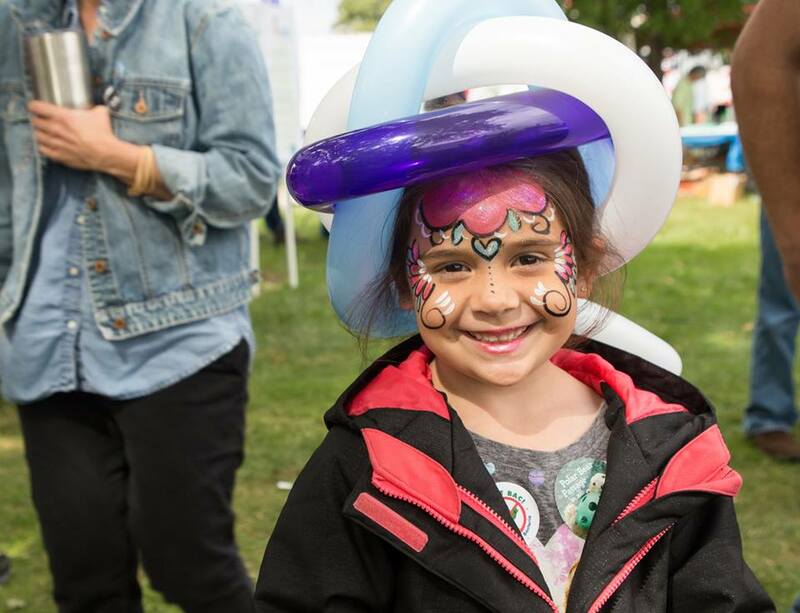 Several of the competitions – the mechanical bull, the inflatable obstacle course, the wacky trike relay – will be seriously jeopardized by inclement weather. In addition, today’s rain will limit the ability to park on the lawn. Finally, the threat of additional rain tomorrow will likely limit attendance, and thus undermine our success. We are grateful for all the support we have received from the club, both in terms of your willingness to volunteer and your contributions. combine your fee with other funds that have been contributed for the event beneficiaries and provide you appropriate notification of the donation. Please mark your calendar for next year’s event: October 5, 2019 on the south lawn of the National WWI Museum & Memorial. And again, thank you for your continued support. 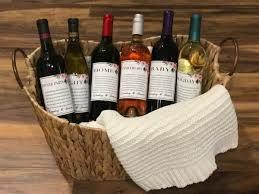 Over the next 3 Fridays-- Please bring a bottle of wine to our Friday morning meeting to donate to our silent auction wine basket for the District 6040 Foundation Dinner. Deliver to the Sgt at Arms table for Roger Samuel to collect--Thank you! 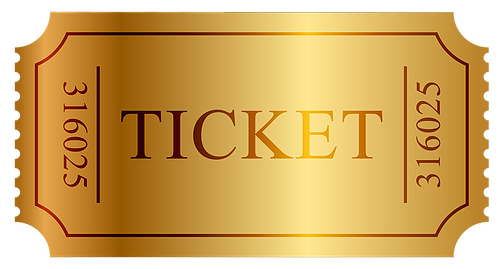 Urban Ranger Corps fundraiser--Purchase a $100 golden ticket for a chance to win a great trip of your choosing! 3 day Monterey Golf Experience. Each trip is complete with airfare. Act fast, only 100 tickets available! Fall clean up is tentatively scheduled. We'll have a sign-up sheet at the meeting Friday, October 12. Reach out to Paul Temme at paulctemme@gmail.com if you missed the sign up sheet but would like to help. 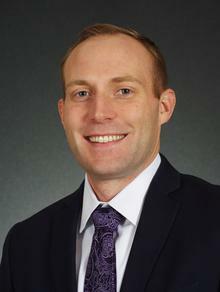 Steven Rotkoff has completed his application for membership and been voted on by the board. 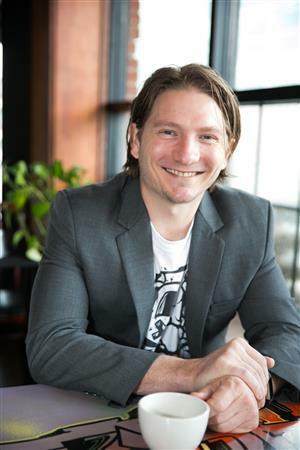 Steven is a Partner / business consultant with Red Team Thinking. 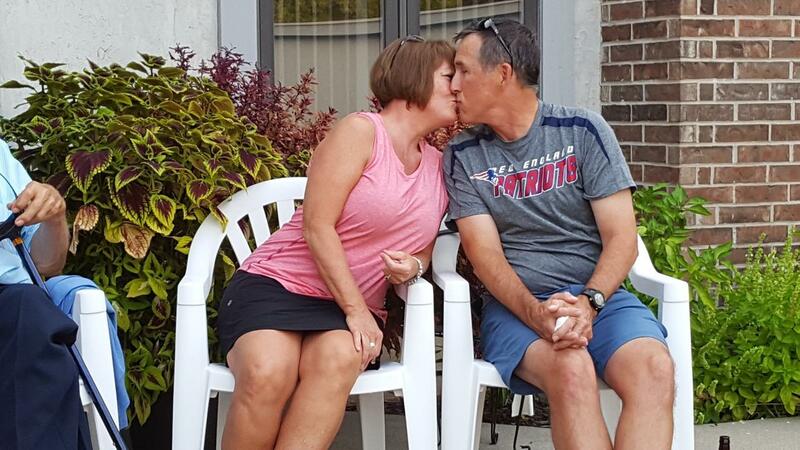 He and his wife, Libby, have been members of the Kansas City community continuously since 2005 and live in Lansing. 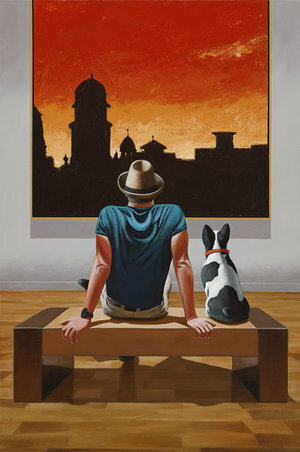 They are both active in the Leavenworth community and he was introduced to the Plaza Club by Scott Weaver. Attention all mentors! Rotaract KC is meeting September 26th at Ruins Pub 6:30 to 8:00pm. The Club LOVES our attendance and interaction. Please send an email to: rich@thelindenevents.com if you are interested in attending! Thank you! Cheers to Service! No Morning Meeting Sept. 21! 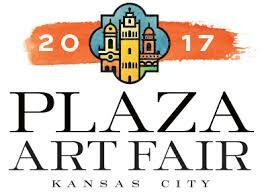 Instead, meet us at 4:30 PM at Tom Fooleries on the Plaza, 612 W 47th St, Kansas City, MO 64112 for a fun Happy Hour with your fellow Plazans, then wander through the Plaza Art Fair at your leisure. Parking will be limited at the Plaza for this event, so we recommend Lyft or Uber to get you to and from. Click on any of the bold gold text above to take you to the weblinks. Have a favor to ask. In addition to Rotary and Scouting, I volunteer time each month to supporting Veterans in their transitions into the workforce. 6:30pm on Friday October 12, at the Marriott Kansas City Overland Park, and sharing your insights about careers, and how great Kansas City is with club officers of the Student Veterans of America from several regional colleges. Thanks for coming, if you can! Heart to Heart International is actively responding to Hurricane Florence. Volunteers with the Mobile Medical Unit are positioning to provide help to the areas most affected by the storm's path. The situation is ongoing and more updates to follow. If you'd like to donate, please check out their website. It's Bingo...Hamburger Mary's style, with lots of tongue in cheek sass! 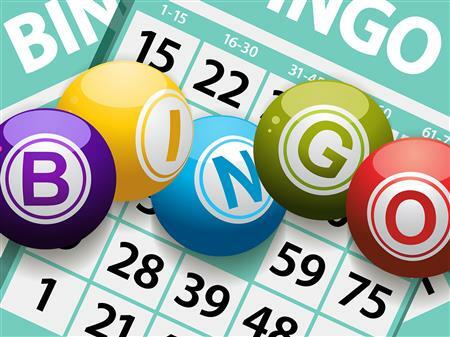 Bring your family and friends to eat, drink, play bingo and donate to the Urban Ranger Corps. Walk-ins welcome, but Pre-Registration is highly recommended to save your seat. 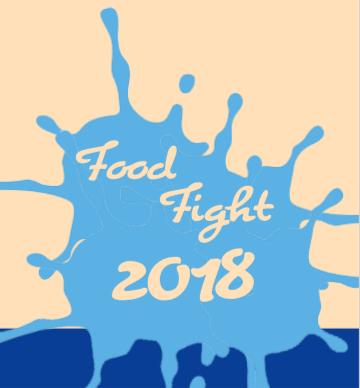 1-The 2018 Rotary Food Fight Flyer- please note that your club will receive 1 point for a pound of food, 4 points for each dollar donated and 10 points for each hour of service in a food pantry. Since we are a service club, we thought the most points should go to the service aspect of this challenge. 2-The 2018 Food Fight Teams---see which team your clubs is on and develop a plan now. 3-The Food Pantry list in North Missouri by County. If you have a place in your community that you'd like to serve and it isn't on this list, please contact Chad Higdon and see if it can be added. Part I of RLI Coming on Sept. 29! Whether you've been a Rotarian for 60 days or 60 years, there's a great opportunity coming up on September 29 to learn more about Rotary and how to be a better leader of volunteers, including Rotarians! 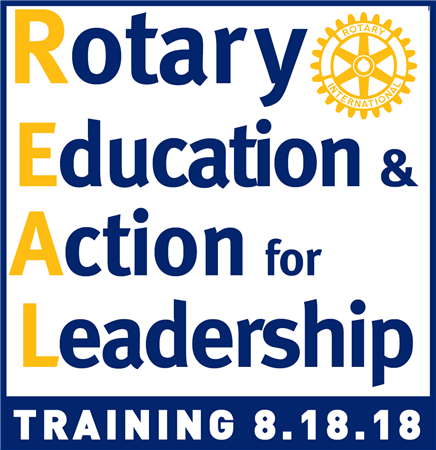 Part I of the Rotary Leadership Institute (RLI) will be offered in Chillicothe on that date, covering topics ranging from My Leadership in Rotary to Engaging Members and Creating Service Projects. Classes begin at 8:30 and end by 3:00, and are limited to 15-20 participants. Contact Plazan Jerry Venters, the RLI District Coordinator, at jvrotary6040@yahoo.com for more information. Engaged in "Service Above Self"
As we are marching into the new 2018-2019 Rotary year, the Rotary Club of Alexandria Cosmopolitan - District 2451 – Egypt is wishing you a joyful new Rotary year. English was not my father’s first language. And like a lot of second language learners, he was an avid reader. He especially liked Conrad and Melville and read their bodies of work not once but several times during his life. As a young man, it was not uncommon for him to drop my mother off at her home after a date and head for a neighborhood diner, book in hand, to read and drink coffee until the night waitress closed up and shooed him home. Later in life, he added Louis L’Amour westerns to his list of favorites. One of the simple and great pleasures of his day was to settle into a comfortable chair in the evening to revisit a favorite read for a second or third time – or more. Why did he prefer to re-read, rather than switch to something new? I asked him once. His answer, like him, was straightforward but not necessarily simple: it was a good book the last time, and he got something new from a book every time he read it. The R.E.A. L. is an annual training event (formerly known as Mega Training) to be held in Chillicothe on Saturday, August 18, 2018. The District Leadership Team will be at the First Baptist Church, 1601 Bryan Street in Chillicothe. 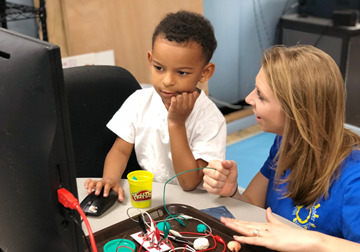 The Rotary Education and Action for Leadership day is designed to give you hands on training and tools in many areas of Rotary. Who should come? Any Rotarian with a passion to “Be The Inspiration” and to “Make a Difference” in the lives of others. The New Model Group Study Exchange emphasizes humanitarian service in addition to vocational service and cultural experiences for participants. GSE is open to Rotarians and non-Rotarians who want to learn about their vocation in another country and be involved in implementing humanitarian service projects in the future. One team leader and four team members comprise the team. Rotarians home host the GSE teams throughout the exchange. 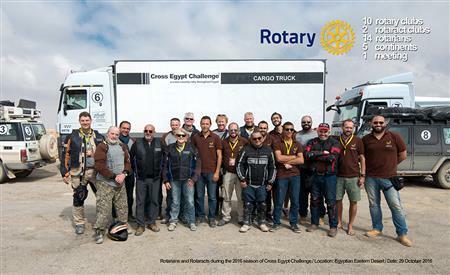 Teams present programs at Rotary Clubs. Participants should be prepared to make a commitment to assist with implementing grants at home and/or abroad. Through this exchange experience, the districts are hosting a global grant in each district. In D9520, the global grant is for dialysis equipment in an Aboriginal community. In D6040, a global grant will provide Trauma Training for teachers in the Kansas City Public Schools. Note: Past District Governors and past GSE team leaders and members will be considered on a space available basis. The Jeff Jernigan Charity Golf Tournament was a success in it's first year. Roger Samuel's team took first place. 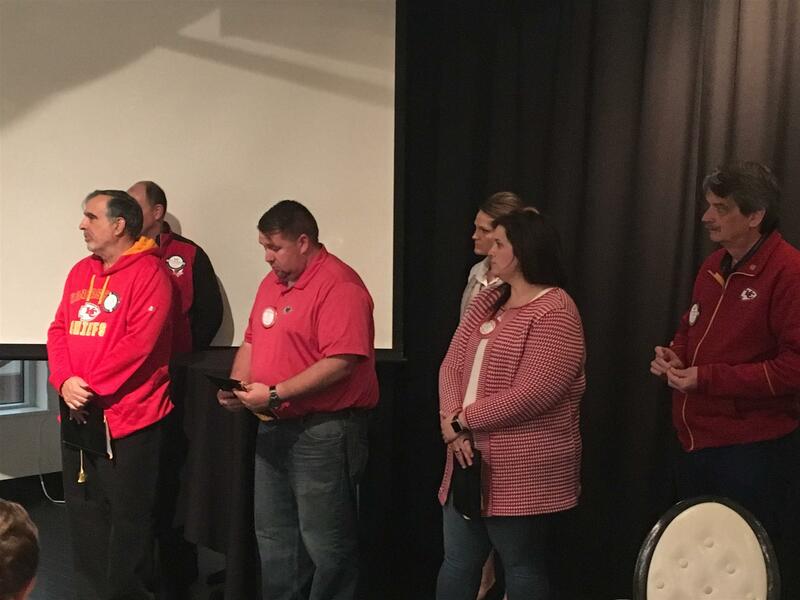 Rotaract KC Camp Rise 2018 could use yours help. Rotaract Kansas City’s Camp Rise is a safe, engaging and activity packed summer camp for youth ages 5 – 15 in the greater Kansas City area. At no cost, this over night camp gives under served youth the opportunity to gain new, enriching experiences and valuable life-skills while empowering them to celebrate their independence and resilience. Campers will enjoy four days and three nights of swimming, hiking, tree climbing, crafts and sports at the Rotary Youth Camp in Lee’s Summit, Missouri. Along with singing silly songs, tie-dyeing and roasting s’mores, campers will participate in team-building, self-confidence and empowerment activities with their peers and our kind, enthusiastic staff. Please consider helping us give the life-changing gift of summer camp to children who might not otherwise have the opportunity. This is the LAST MEETING before COG next Week. 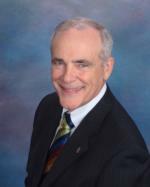 Please join us as Randy Steinman takes over as Club President. There will be a sign-up sheet at this week’s meeting, or email aileen.murphy@rgp.com. Rotarians can submit payment to the Sergeants or choose to be billed. NO MORNING MEETING ON JUNE 29 AND JULY 6. 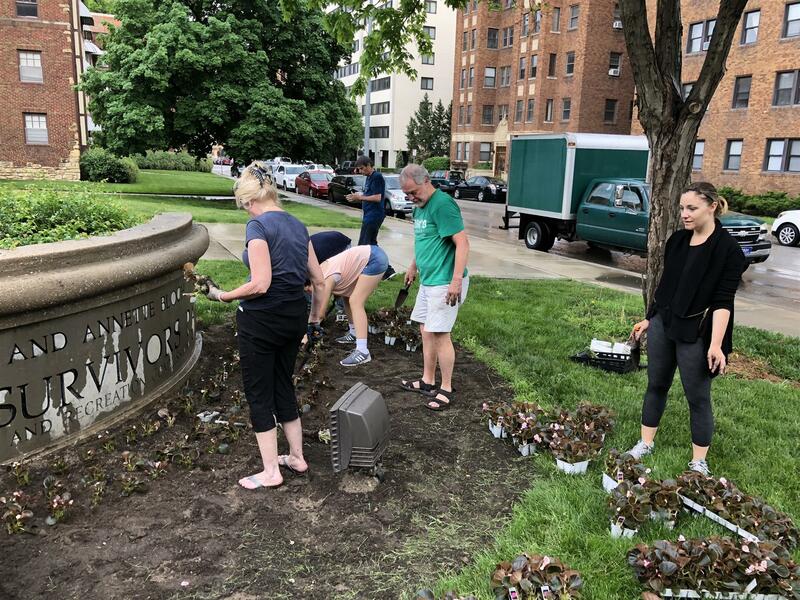 Bloch Park Clean Up on May 12, 2018 had a great turn out, despite the rainy weather. Thank you to everyone who could make it out! One of our legacy projects, Educate to Elevate, has turned it's focus this year to providing sanitary facilities to our partner school in Owguokwu, Nigeria. We are so happy to announce that on March 13th, our contractor began construction on phase one at the community school of Owguokwu thanks to the continued effort of the many supporters we have had. Phase one consisted of breaking ground and building the septic tank and is now complete! Please click here to watch our progress thus far. Although we’ve broken ground, the work is not done. We still need $1,870 of $3,800 to complete Phase Two. Phase Two will consist of the building of the outhouse and stalls. We will be sure to continue to update you on the construction of the sanitary facilities. To continue our efforts, we are asking you to share this on your social media. Ali Brandolino, our Educate to Elevate project leader, has an amazing post located here: via Facebook. Attached is also a flier to make sharing easier. Taking the few minutes to share the links on Facebook, Twitter, and Instagram would be a huge help. We've raised over $500 in just a few days due to sharing. Above all, we just want to get the word out about this cause and to complete Phase Two of this amazing project. 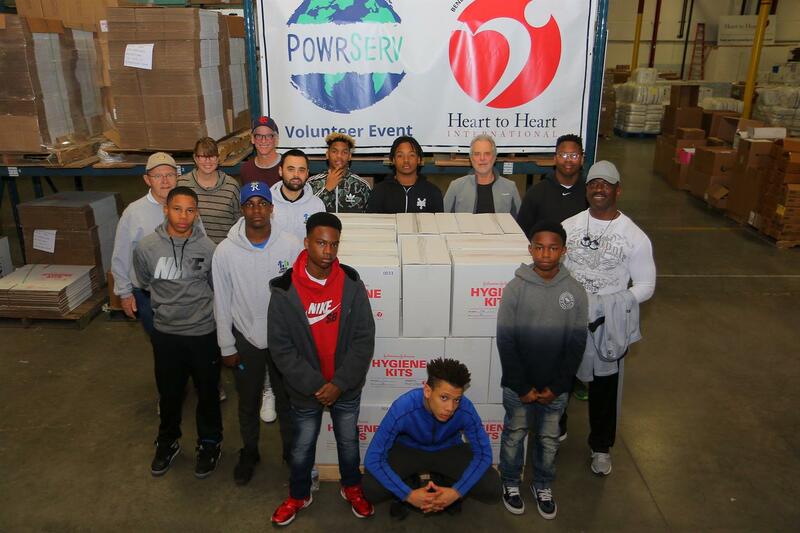 Club member Jim Mitchum and his team guided us through the process of assembling 450 hygiene kits with the Urban Rangers, and gave us an informative tour of the HHI warehouse describing the organization's mission and operations. 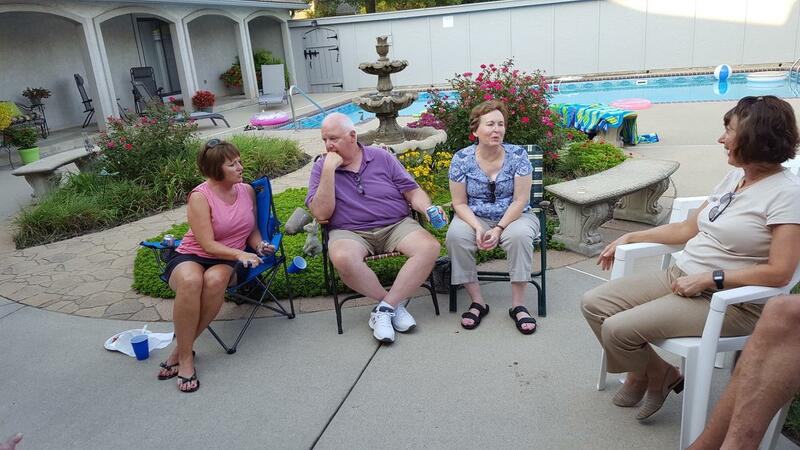 Club participants include: Allen Jenks, Therese McGill, Bob Merrigan, Ed Ledegaard, Paul Temme. 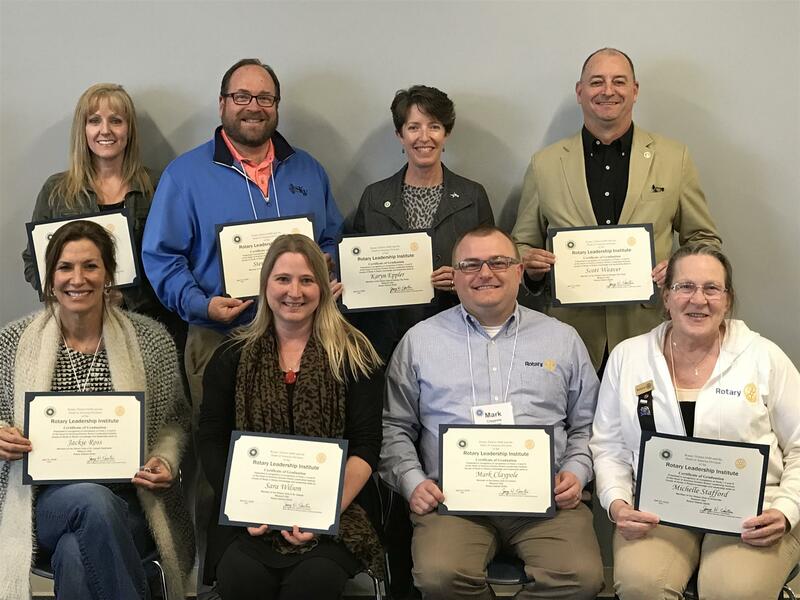 Plazans Karyn Eppler and Scott Weaver were among eight District 6040 Rotarians who completed the Rotary Leadership Institute (RLI) course and graduated with flying colors on Saturday in St. Joseph. The RLI course consists of three full-day sessions focused on Rotary activities and programs, The Rotary Foundation, and volunteer leadership skills. The sessions are facilitated, adult-learning classes, with lots of interaction and camaraderie. The classes are open to any and all Rotarians -- from rookies to veterans -- who want to learn more about Rotary and meet other district Rotarians. You do not have to want to be a club president or District Governor to attend! 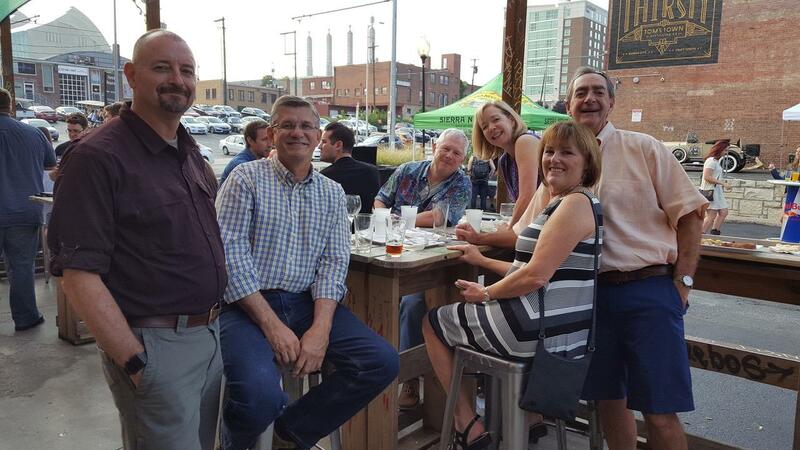 Pictured: Back row (L-R): Kris Hildebrand (St. Joseph Southside), Steve Weaver (Waldo-Brookside), Karyn Eppler and Scott Weaver (Kansas City Plaza). Front row (L-R): Jackie Ross (St. Joseph Southside), Sara Wilson (St. Joseph), Mark Claypole (Lawson), and Michele Stafford (Unionville). The Jeff Jernigan Memorial Golf Tournament! Please join us for the First Ever Jeff Jernigan Memorial Golf Tournament! When: Tuesday, June 26th. Lunch at 11:30; shotgun start at 1PM. Where: Sycamore Hills Golf Course in Spring Hill. $125 per individual player or $450 per foursome. 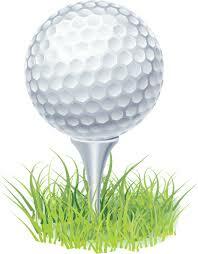 We also have numerous hole and other sponsorships available if you don't or can't play golf that day. We could also use some on-course help during the tournament. For more information, please contact Roger Samuel at 810 241-9649 or roger.runner@gmail.com, or Terry Putney at 816 918-2728 or tputney@transitionadvisors.com. 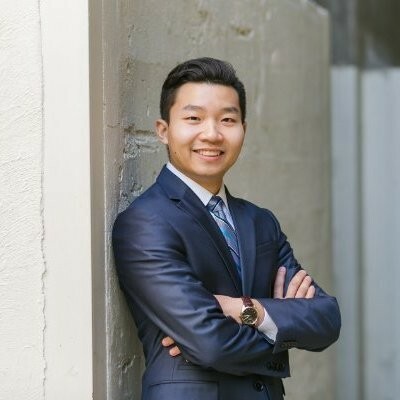 A New Member Application for Johnny Zhou has been approved by the Plaza Rotary board. Johnny is a full-time student, Admission Assistant, and Student Ambassador at Donnelly College. Johnny may look familiar as he has attended many meetings with his father Dan Shea, and has volunteered at our 2016 Games for Good. Johnny also volunteers at the St. James Soup Kitchen and the Ethnic Enrichment Festival- Indian Center. Heart to Heart International Gala-- Cassy Venters attended the H2H Gala along with 9 other Club representatives on Saturday April 14th. Heart to Heart International Hygiene Assembly Project with Urban Rangers: Club volunteers will join the Urban Rangers on Saturday, April 21, 2018 to assemble hygiene kits. After assembling our quota we will enjoy a tour of the warehouse facility to learn more about Heart to Heart's international efforts to create more access to healthcare. Email Paul Temme at paulctemme@gmail.com to RSVP if you haven't signed up already. 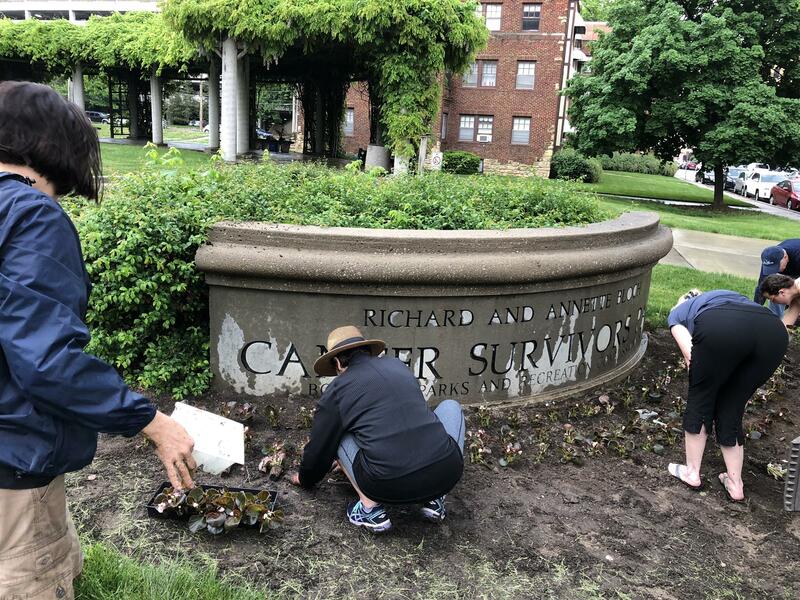 Volunteers Needed:The Spring planting at the Bloch Cancer Survivors Park on the Plaza will take place on Saturday, May 12th from 9-12 noon. The sign-up sheet is with the Sergeants at Arm's. Contact Mindy Stewart-Coffee (Mindy.Stewart@integrityhc.com) if you need more info. National Tips and Tricks: There are multiple rounds of competition and several events that will be held throughout the day. Please keep in close contact with Megan during Nationals as the UMKC Enactus team won't know when and where they are presenting until a few hours before. Additionally, during presentations the doors will lock 5 minutes before start time; please ensure that you are 15 minutes early to any presentation to guarantee a seat in the room. Megan will send out additional information about the event as the date gets closer. 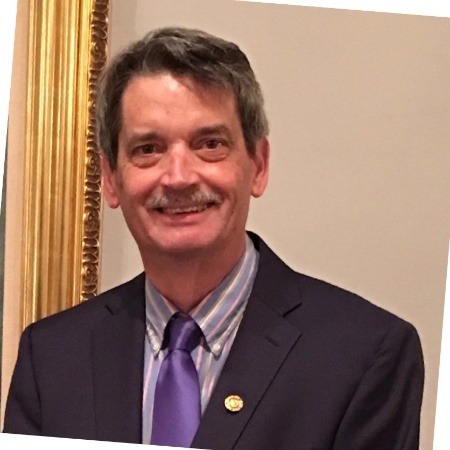 Heart to Heart International Gala: Jim Mitchum has extended an invitation to 10 Plaza Rotary Club guests to the 25th Anniversary Gala for Heart to Heart International on April 14th. There will be a sign-up sheet at this week’s meeting. Participants can bring a guest; first come first serve, but you must commit to being there to represent the Plaza Club. Volunteers Needed: There is room for 5-10 Club members to join the Urban Rangers in a hygiene kit assembly project with the Urban Rangers at Heart to Heart International on Saturday, April 21. We will have a sign-up sheet available at the Club breakfast on Friday March 9th. 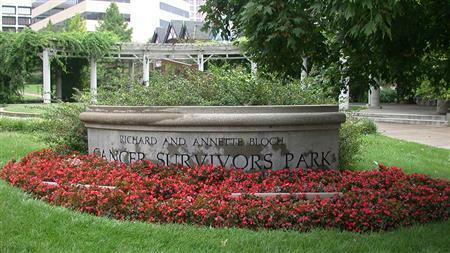 Volunteers Needed: The City of KCMO is making plans for Spring planting of the Bloch Cancer Survivors Park on the Plaza. Do we have volunteers for a weekend in early May? Sign up -- if we have a quorum we will firm up a date with the city. Contact Paul Temme (paulctemme@gmail.com) if you need more info. Thank you very much to those that have donated! We will continue to collect money, via change for charity, and shoes through the end of March. Checks can be made out to the Plaza Rotary Foundation. Also, if you are a sale shopper and have an interest in helping us turn these $ in to shoes please contact Liz or Randy. Plaza Rotarians, out on another beautiful Spring morning, selling papers to raise money for kids to go to Rotary Camp! 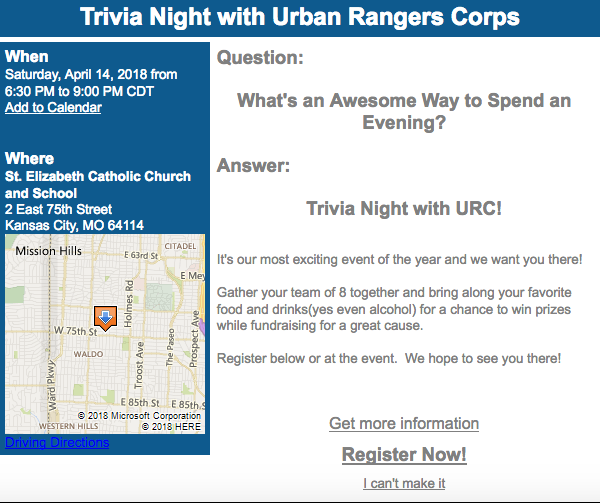 Come play trivia and help raise funds for the Urban Ranger Corps. Trivia Night will be held on Saturday, April 14th, at St. Elizabeth’s Parish, 75th, and Main, in Seton Hall. Doors open at 6:30 p.m. and the first trivia question is asked at 7 p.m. Cost is $15 per person or $100 per table of 8. You are invited to bring food and alcohol for your own table. Click here to reserve your table or download and submit the application. Thanks! See you at the FINAL FOUR this Friday. Sign up sheets are available with the Sergeant at Arms. In addition to papers, we will all have an allocation of flags for sale. 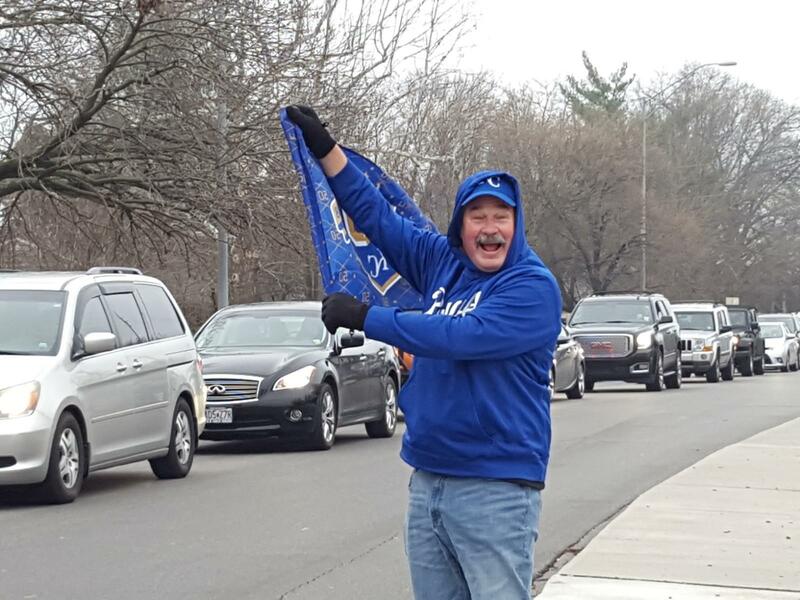 One Club 13 member sold 77 flags last year! Club members that want flags @ $10 each for their personal use can request them on a separate sign-up sheet. Contact Paul Temme (paulctemme@gmail.com) if you want to sign up remotely, or need more info. During the Sweet Sixteen round, Plaza Rotarians generously donated another $430 (yes, that is correct for those of you paying attention - the exact same amount as last week). That gets us to $830 in monetary contributions. 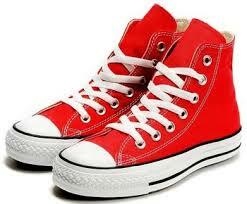 Given the right sales that might equate to 275 pairs of shoes. Thank you very much to those that have donated! We will continue to collect money, via change for charity, and shoes through the end of March. Checks can be made out to the Plaza Rotary Foundation. Thanks! See you at the Elite 8 this Friday. As spring approaches, so does the first of professional golf's first majors--The Master's. And once again this year, you'll have the opportunity to participate in a fun, season-long golf majors pool, with half of all proceeds raised going to fund a RYLA scholarship. No need to play golf, but if you follow the sport at all, this is an opportunity to have a lot of fun for only $50. More more information or to express interest in participating, just let Roger Samuel know at roger.runner@gmail.com. Join us at Topgolf Overland Park for a fundraiser benefiting Hope House. It will be a night of food, drinks, and a little competition. Bring your friends and help support a good cause. There will also be raffles for fabulous prizes. 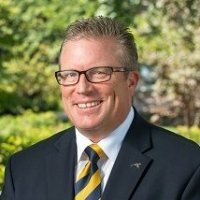 New member application has been received and approved for membership by the Board for Grant Killion, Business Banker at CrossFirst Bank. Grant graduated from the University of Arkansas with a Bachelor's in Business, and Oklahoma State University with and MBA in Finance. Grant has been involved with the Boys & Girls Club- Emerging Leaders. 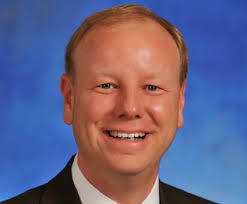 He enjoys Razorback sports, golf, weekend travel, and outdoor activities. If there are no concerns from members, Grant will be inducted into the Red Badge Program in 2 weeks. You are invited to Hope House’s Everyday Hero Luncheon, Thursday, April 5, at The President Hotel. 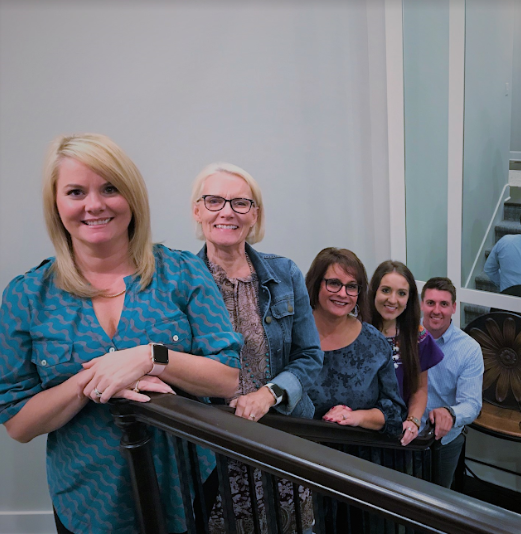 This is a special recognition luncheon to honor Hope House volunteers—everyday heroes—who so selflessly give of themselves to ensure a brighter future for the people we serve. Among those being recognized at the luncheon is fellow Plaza Rotarian, Terry Berkbuegler, who has supported Hope House for many years. Guest Speaker: Dayton Moore, KC Royals General Manager. For more information, contact Ann Leabo or visit hopehouse.net/events. In the interest of public safety, the Plaza Rotary Sgt-at-Arms will be conducting a Roadblock and Rotary Pin Checkpoint this Friday, February 2, 2018. The checkpoint will be at the entrance to the Grand St Cafe event space, and will be set up and running from 7am until approximately 8am. Plaza Rotarians are advised to wear their Rotary pins, and dress according to Plaza Rotary guidelines. Lack of visible Rotary pins, the wearing team logo apparel, or the wearing flip flops will be met with fines. 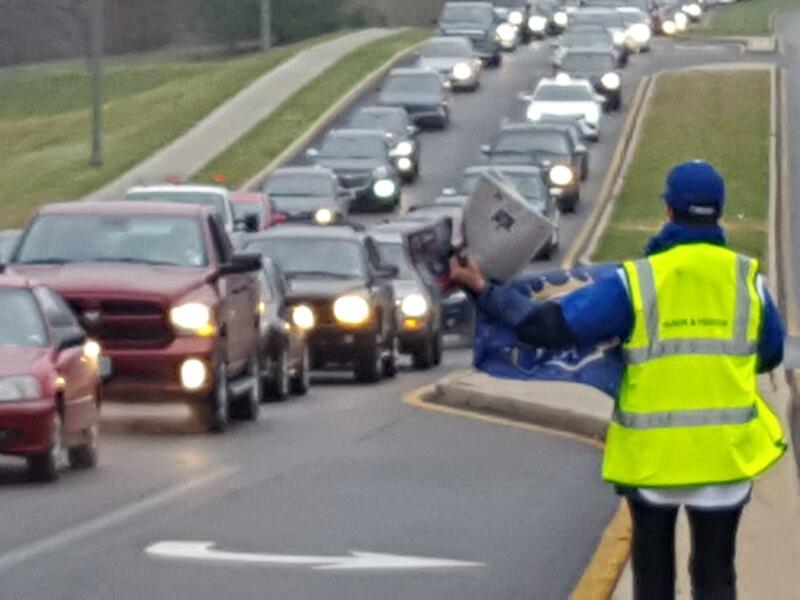 Again, a Rotary pin checkpoint will be in affect this Friday February 2nd. Plaza Rotarians are to proceed with caution. The residents were down to one working washing machine remaining in the three laundry rooms, so we arrived in the nick of time. All went smoothly with the cooperation of a terrific team. We painted all three laundry rooms, installed shelving, and the new equipment. Volunteers included Roger Samuel, Rich Cane, Scott Weaver, Casey Culbertson, Paul Temme, and Allen Jenks. 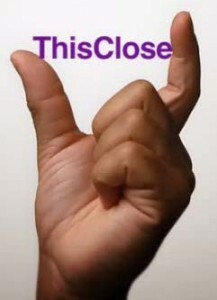 Take a moment and please update your ClubRunner Profile. All members have access to their own profile for self-service updating, when changes happen in your life. And please do include a photo-- it's very helpful for us to know who the new members are when we see them, and helps our traveling members catch up with the new faces. 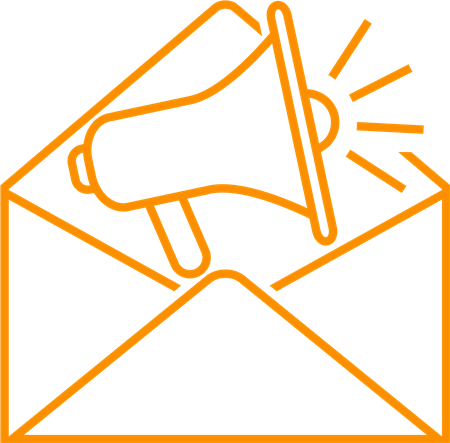 Sign up for RI Direct online and notify Liz to remove the Sustaining Member donation from your quarterly invoice. Click here to email Roger Samuel or Liz Thomas for more information on how to sign up. NO MORNING MEETING FEBRUARY 23, 2018. WHY?? So you can join us February 19, 2018 at 3:00 PM at the Truman Library for our small group tour. Tickets are $10 per person. The Library closes at 5:00 PM so Happy Hour will follow the tour at Diamond Bowl. Club meeting for Feb. 23 is cancelled; please attend this event for evening fun! A sign-up sheet will be available Friday at the club meeting, or you can RSVP to Eric Wymore & Aileen Murphy here. The project date is January 20, 2018. We have a team of 10 volunteers meeting at 8:30 AM to refurbish the three Laundry Rooms and install the new equipment that is already on site. Contact Paul Temme (paulctemme@gmail.com) with any related questions or directions. 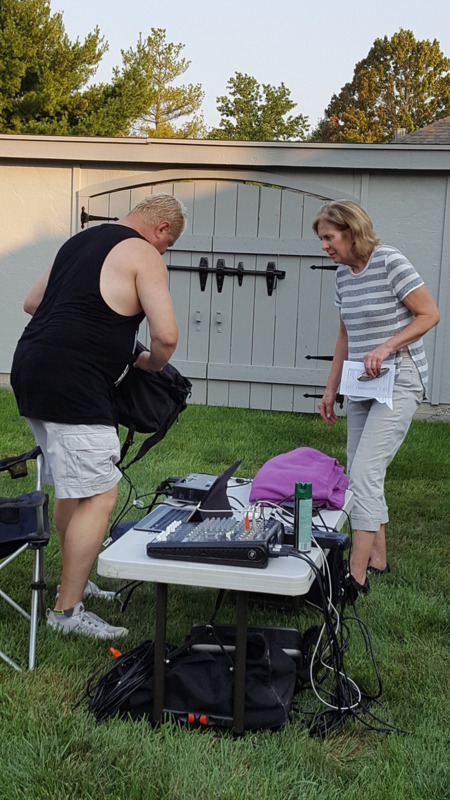 Thanks to the following Plaza Rotarians for their participation in this effort: Liz & Drue Thomas, Jennifer Kyle, Paul Temme, Aileen Murphy, Francis Reddis, Cassy Venters, Beth Bahner, Tom Bradshaw, Rich Linden, Karyn Eppler, & the Liberty HyVee. 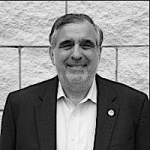 I received the sad news yesterday morning of the passing of Jeff Jernigan, a long time member of our Kansas City Plaza Rotary Club. 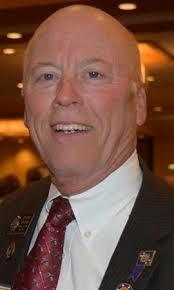 I have also received multiple e-mails praising Jeff and remembering his friendship and dedication to Rotary. In lieu of a 3 minute speech or inspirational moment on this Friday, I will offer the opportunity for those who wish, to reflect upon and remember Jeff during that time. Please join me in sending prayers to his wife Cheryl and family. A sympathy card will be available for members to sign at this Friday's meeting. Plaza Rotarians, I'd like to suggest that we encourage those attending Friday's meeting to wear purple in honor and memory of our friend Jeff. Word is going around that it was his favorite color and many of us will be wearing ties to his service on Saturday. Service is 10 AM this Saturday, January 13, 2018 at Unity Temple on the Plaza. Click here for obituary. Tip #9-- Realize there is no finish-line. Even if you are at the size that your club wants to be, there are always reasons people leave. And new insights always benefit a club! You’re either growing, or you’re dying. See our new members since July 2017 in our Extra! Extra! Newsletter. Thank you for the fresh perspective! It was that time of year when Plaza Rotarians are encouraged to wear Plaid or your Ugly Christmas Sweater to our last meeting of 2017. We sang ONE song-- Jingle Bells, and we struggled with that... however we were able to proudly don our Holiday Cheer and induct a few new members! Click here for the full photo album. Tip #8-- Celebrate when you get a new member. This gets the club excited about getting more members. With that in mind, watch for an EXTRA! EXTRA! Newsletter featuring all of our new members from July-December 2017! 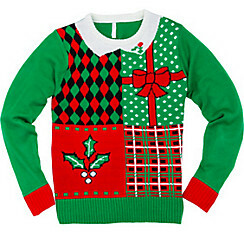 It's that time of year when Plaza Rotarians are encouraged to wear Plaid or your Ugly Christmas Sweater to our last meeting of 2017. 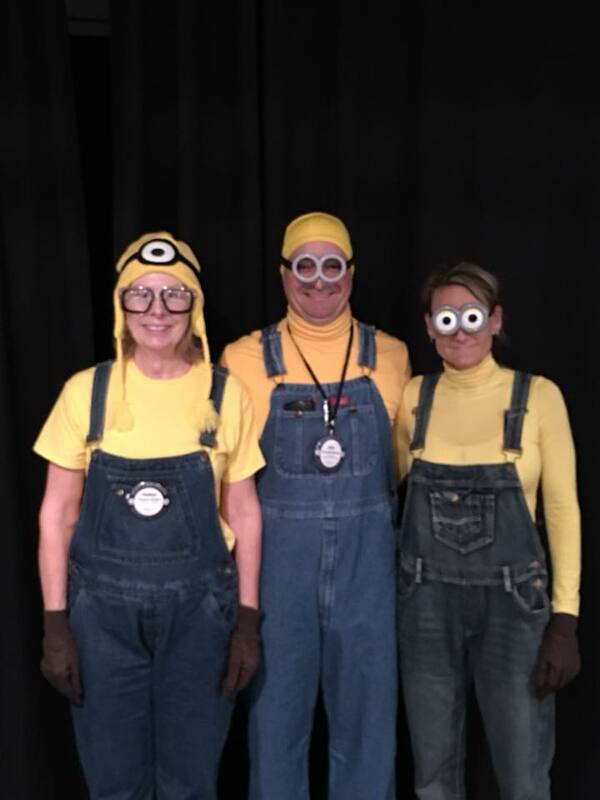 Have fun with it, and be sure to dress for singing! President Elect Randy Steinman proposes and presents his Board for his upcoming term starting July 1, 2018 thru June 30, 2019. Please reach out to Randy if you have any questions. Hope House District Grant Project: The project date is the morning of January 20th 2018, probably around 9 AM to start-- time will be confirmed soon. At this point, we have 11 volunteers to perform the Laundry Room refurbishment. Details will be communicated to the team as the precise tasks and shifts are defined. Email Paul Temme at paulctemme@gmail.com if you want to join the team. Tip #7-- Talk about Rotary wherever you go, tell about the good works we do. At church, temple, work, neighborhood gatherings, family gatherings, parties, etc. You’ll be amazed how easy it is after you practice for a while. Getting a lot of “no” answers built my confidence because it didn’t hurt as bad as I thought and most people were actually happy I asked, even if they responded negatively. It’s always a good time to recruit. 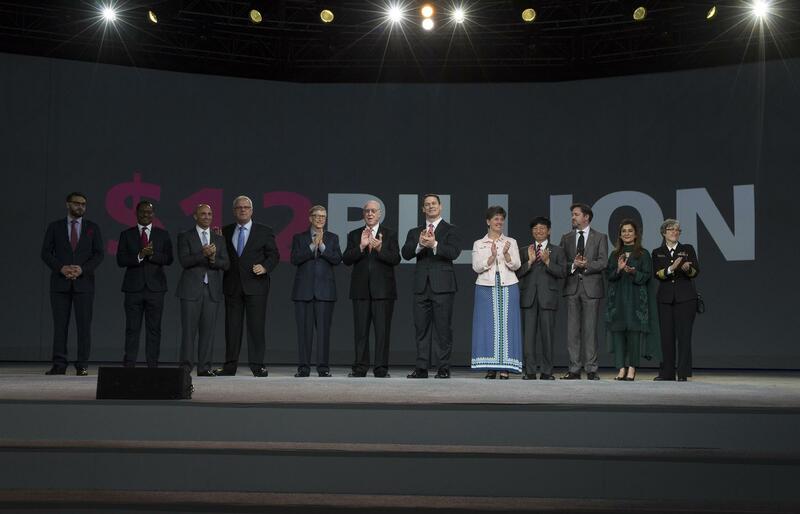 Rotary's efforts to eradicate polio are always impressive. DID YOU SIGN UP FOR ROTARY DIRECT? 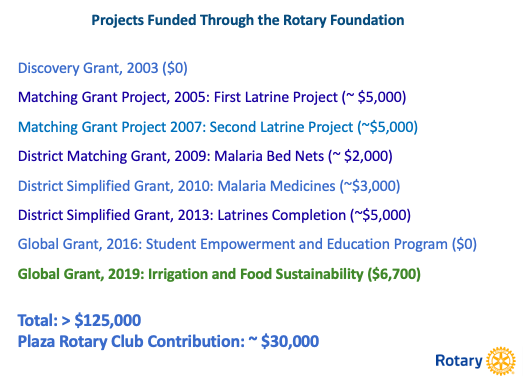 Help the Plaza Club return to Every Rotarian Every Year (EREY) status, meaning we’re a club in which every member is giving at least $100 per year to the Rotary Foundation. Click here for FAQs or to download a donation form. As most of you know, $25 of your quarterly dues go to the Foundation, but THERE'S AN EASIER WAY . Simply go to https://www.rotary.org/en/donate and sign up for Rotary Direct. You can opt to give any amount over any time period, but by committing to as little as $8.33 a month, you’ll be helping the Plaza Club attain EREY (Every Rotarian, Every Year) status. SIGN UP BEFORE THE END OF THE YEAR AND THE CLUB WILL AWARD YOUR ACCOUNT WITH 500 PAUL HARRIS POINTS, MEANING YOU’LL BE HALF WAY TO YOUR FIRST (OR NEXT) PAUL HARRIS FELLOWSHIP! Reason #1- Give a minimum of $8.33 monthly instead of $25 quarterly, automatically via debit card-- Set It and Forget It! Reason #2- Credit card charges are paid by Rotary International instead of the Plaza Club, and at a much lower rate. Your money works more! Reason #3- Easier tracking for Tax Purposes- for you and the Club. On Nov. 18, 2017, Jennifer Kyle graduated from District 6040's Rotary Leadership Institute program in Chillicothe, Missouri. The Rotary Leadership Institute (RLI) is a multi-district, grassroots leadership development program of member districts organized into regional divisions in various parts of the world. Congratulations, Jennifer!! Gordon Parks Elementary School Adopt-a-Family Program: The Club collected $256 for this cause on Friday, December 1. At the request of the school program coordinator, we will be buying khaki pants, belts and underwear and a supply of Kleenex to be distributed as needed to the students. Cassy Venters has graciously offered to purchase the goods and deliver them. 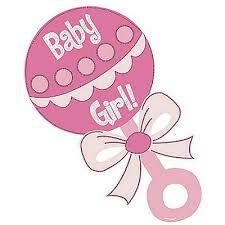 A Gordon Parks family expects the delivery of a new baby girl very near Christmas. They are in-need of baby girl items and supplies…they do not have anything. They need diapers, clothes, everything…if any Club members have items to donate please bring them to the next meeting or let Paul Temme (paulctemme@gmail.com) know how he might retrieve them from you. Bridge Home December Dinners- UPDATE! Bridge Home dinners: Club members have committed to providing Saturday dinners during the month of December. Paul Temme will send an email to each club member that has volunteered with details. Continuing our long tradition, Club members will deliver Saturday night dinners to the residents of the Bridge Home located at 6033 Swope Parkway. The sign-up sheet is with the Sgt at Arms. The meals include an entrée such as spaghetti and meat sauce, scalloped potatoes w/ham, turkeys, chili w/fixing’s, taco casserole to name a few suggestions along with bread, salad, side and dessert. The kids and staff constitute 24 portions. Meals should be delivered by 3:00 PM on Saturdays, December 2, 9, 16, and 23. You can also email Paul Temme to sign up to help out for a meal item. 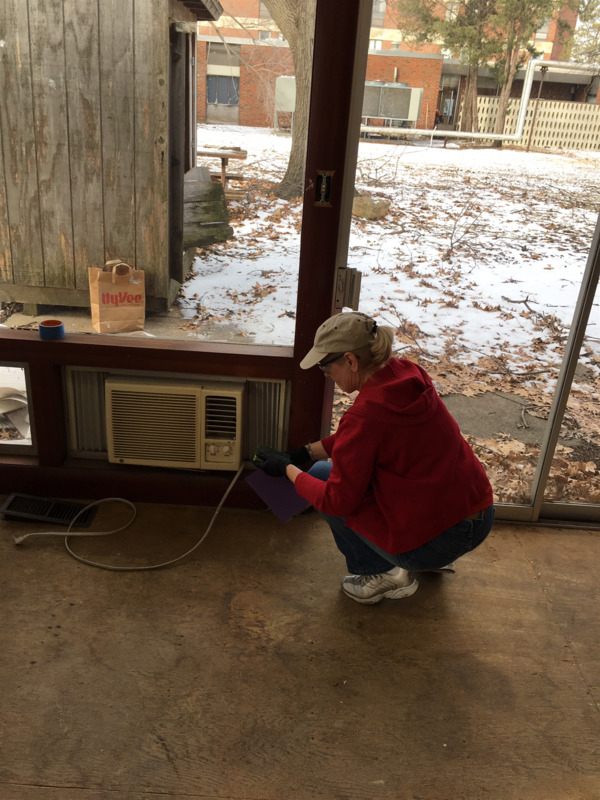 Hope House District Grant Project: Volunteers are needed to refurbish the Hope House laundry room. A sign-up sheet will be circulated at the meeting on Friday December 8th. We have two alternate dates for this one-day project: Saturday January 13th, or Saturday January 20th. Please sign up and indicate which – or both – of alternate project dates you will be available. We will settle on one date by December 15th, OR Email Paul Temme at paulctemme@gmail.com. Be persistent. There will be times that it takes literally a dozen requests to get someone to a meeting. Keep asking. They may come to a meeting, or tell you they can’t join now because they are too busy, or they aren’t interested in joining at the moment. These are all fine answers as long as you keep track of them and keep in touch. How many times did you have to be asked? 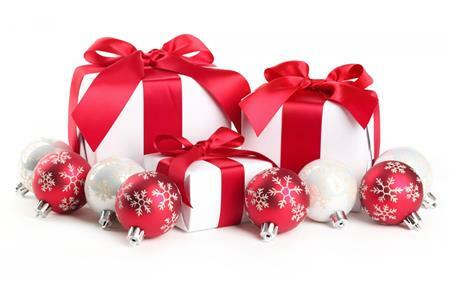 Gordon Parks Elementary School Adopt-a-Family Program gifts must be delivered by December 11, 2017. More details to come. If you'd like to help, contact Paul Temme via email. What's Your ClubRunner Log-in and Password? NO, I really don't want you to share it, I just want you to know if you know it. Practice logging in to ClubRunner TODAY. The District approved our grant request for the sum of $2,400. 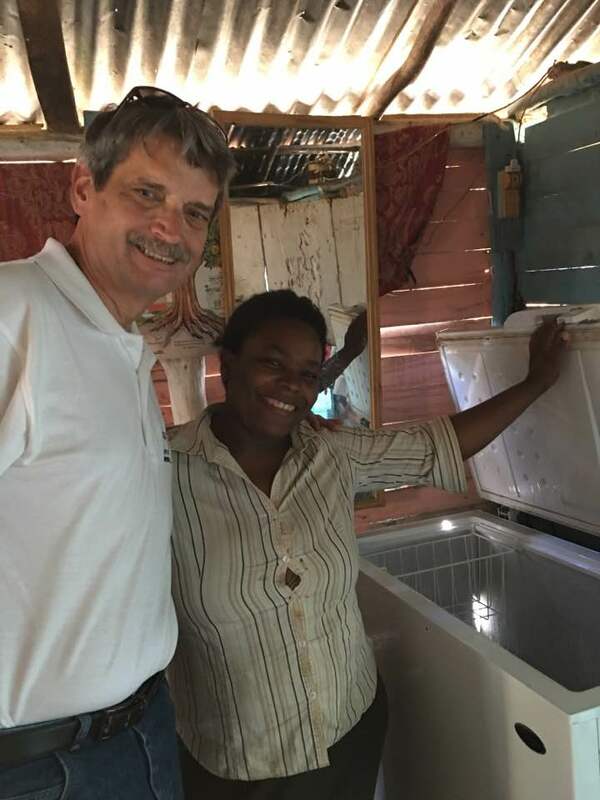 The plan is to use matching Club funds to purchase and install four sets of clothes washers and dryers in the Hope House shelter in Independence, Missouri. Club members will repaint the entire laundry facility and install needed and appropriate shelving in January 2018. More specifics will come in December. Continuing our long tradition, Club members will deliver Saturday night dinners to the residents of the Bridge Home located at 6033 Swope Parkway. The sign-up sheet is with the Sgt at Arms. The meals include an entrée such as spaghetti and meat sauce, scalloped potatoes w/ham, turkeys, chili w/fixing’s, taco casserole to name a few suggestions along with bread, salad, side and dessert. The kids and staff constitute 24 portions. 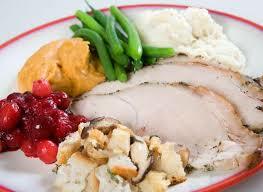 Meals should be delivered by 3:00 PM on Saturdays, December 2, 9, 16, and 23. You can also email Paul Temme to sign up for a meal item. Greetings to you. Thank you for your service through Rotary. 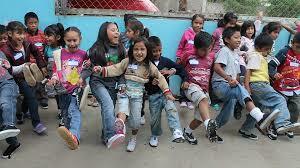 You may recall that we had planned a Shoes Delivery Trip to Guatemala for the first week of October. However, I believe the lead time for planning was just not sufficient, and for that, I apologize. Though we did have those who had signed up, we did not have enough sign-ups for the trip to come to fruition. Which simply means we need more lead time for planning. Who greets you at your Rotary club meeting?? TIP #5: List potential areas of responsibilities. Potential members will want to know how they can fit in and what opportunities there are for serving. Reminder: Our District Governor is scheduled to visit our club TOMORROW, Nov. 10, 2017. Please be sure to attend and wear your Rotary pin. In just over a year, a Rotary Club in Minnesota brought in 31 new members, 11 of them women and eight of them under 40 years old. How did they do it? This week and in following weeks, we will present the club’s 10 Tips for recruiting new members. Create a letter that lists all the great things about your club. List your star members, the advantages of where your club meets, how many members it has, etc. Make sure to tailor the email/letter to the wants of any potential new member. Games for Good 2017- Rousing Success! Great weather and excellent attendance! Thank you to all of our volunteers for your efforts. Check out our Photo Album for more pics. 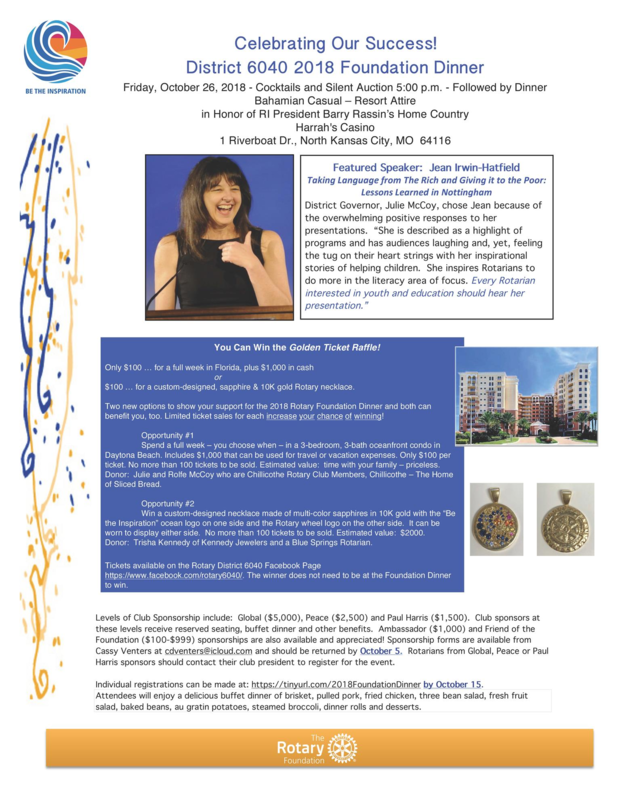 The Plaza Rotary Club, as is our tradition, is a Global Sponsor for this year’s district Foundation dinner coming up on October 28th at Arrowhead Stadium. Also, as is our tradition, we are asking club members to pay their own way so that all $5000 of our sponsorship can go directly to the foundation. If you would like to attend…instructions below..or contact Club Foundation Chair Roger Samuel at roger_samuel@ajg.com. Make recruiting the top priority in your club. You can’t do everything as a club president, and knowing that will give you some freedom to focus on the most important thing. Having new members – with new energy – will help you have more people to raise money for The Rotary Foundation, serve on your committees, and invite additional members/more smiling faces to your meetings and fun event. Let your members know this is the top priority so they can all help. we’re following up with more information and links to resources. 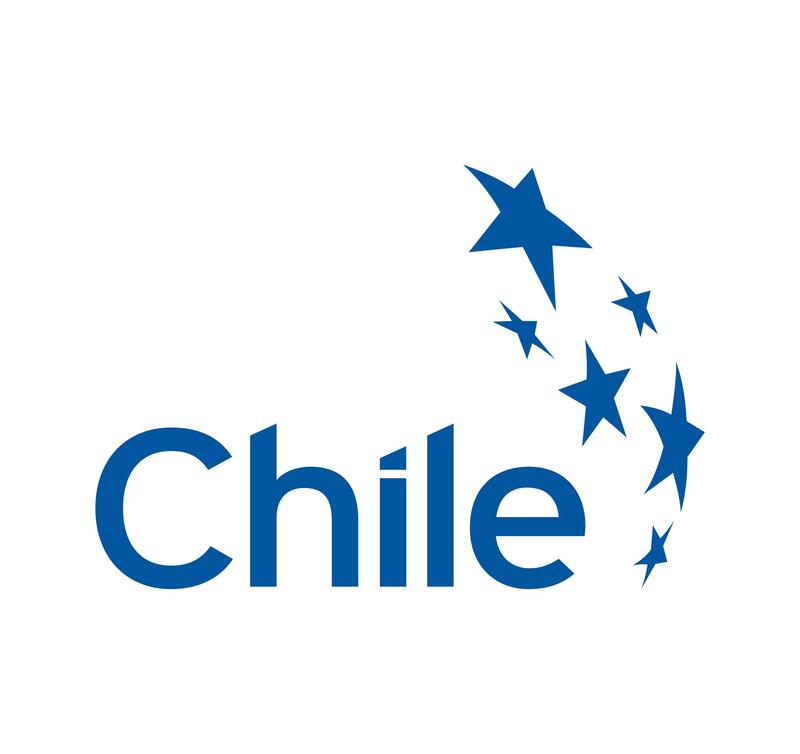 Rotarians are invited to be a part of the district Group Study Exchange (GSE) to Chile in 2017-18. Rotarians have all air flights, food and lodging expenses paid and will be traveling from April 7, - April 27, 2018. The study exchange focuses on developing humanitarian service projects as well as vocational and cultural experiences. Keep a list of potential recruits. It doesn’t matter if it’s a paper list or if it’s kept on the desktop of your computer – it just makes you think about those people and others that may be a fit for your club. Check next week for your next Tip! Know your club’s strengths. 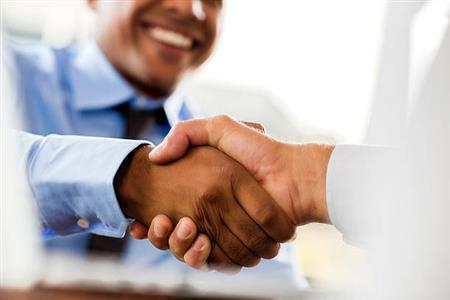 If you meet in the morning, you will probably be a good fit for a 9 to 5 employee. But if you meet at noon, you’re more likely to appeal to retirees or parents of school-age children. If someone doesn’t fit your format, recommend them to another club. They won’t forget you and may send you someone another day. Let all the clubs in your area know you are looking for members, and they may send you some that better fit your format than their own. In participation with ProShred, URC will host a fundraiser on September 23rd from 9AM-12PM at St. Elizabeth Church (74th Street between Wornall and Main in the back parking lot of church) by helping the community shred documents and recycle electronics. This event is donation based, a general donation for paper shredding and a suggested $5 donation for most items dropped off. For a list of what can be recycled (almost anything! ), click here. 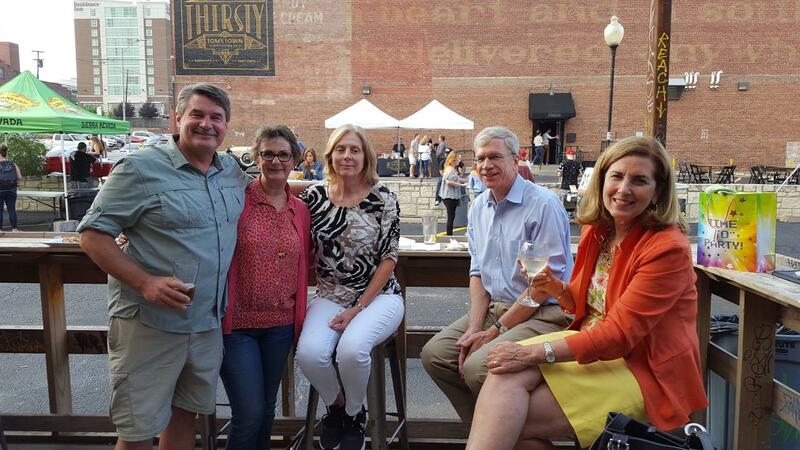 Labor Day Weekend festivities started off with Happy Hour at Ruins Pub, owned by our own Plazan Scott Kalwei, then Plazan's took a dip in Frances Reddis' pool later in the weekend. BBQ & Swimming at Frances' home! Mary Jean Eisenhower is the President and Chief Executive Officer of People to People International. 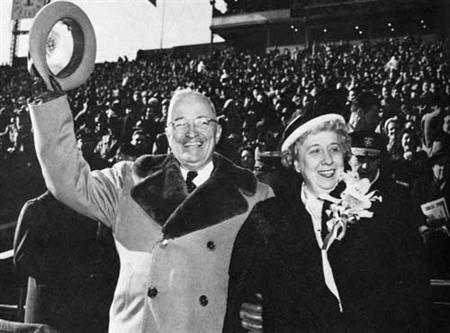 She is a granddaughter of General Dwight D. Eisenhower, 34th President of the United States. Our Rotary club has some fun! We were entertained last Friday morning by Chappie Live! , inspiring dancing by several Plazans. Might be the best way to start your Friday morning. If you want to see our dancers, you'll have to visit our Facebook page. While at the K for a Royals Game on August 28, Ann Leabo witnessed this familiar face on the jumbotron! The Royals honored our own Plazan Debra Anderson for her military service and her work at the VFW. Don't miss our speaker Chappie Live! You know your morning should start with a healthy dose of Motown sounds. The Hope House mattress project is finally coming to fruition. Installation of 120 beds and mattresses is expected to occur on some date before September 30th. They will need some muscle. We hope to rustle up some assistance from the Plaza Rotary members, the Urban Rangers, friends and family. Will keep you posted. It's time to get your team together for our next KC GAMES FOR GOOD! The games are even "funner," and we're anticipating a great turnout. Consider sponsoring a team to play, even if you're not a gamer. Mark your calendars for October 7, 2017, from Noon to 5 PM. Or EMAIL FRANK BALES AT osagebow23@gmail.com . On July 28, Blaise Dauzvardis and Brooke Berkbuegler told of their adventures at MO RYLA 2017 - Session 1. I learned a lot about current and future opportunities that are available…to help further my love and passion for volunteering. I’m very excited to use my new knowledge to change the world for the better. The experience that I have had at the 2017 RYLA Academy has been the greatest experience of my life. One thing about RYLA that was impactful for me was how a group of strangers came together and created a (project) to change the world. I never realized just how big I can dream and still make it come true. You have truly inspired me to work even harder to improve people’s lives, much like you (Rotarians) already have. Going into RYLA, I wasn’t even sure what a Rotary club was. Within the first hour, I knew I was exactly where I needed to be….Rotary is 100% an organization I stand for now. As Suzanne, one of our organizers, shared with us, "In reading over the letters this year’s crop of RYLArians wrote to their clubs, I found some absolutely wonderful comments that shouted to be shared. The following excerpts speak to the strength of our program, as well as to the idealism of youth. It takes so many of us to make this experience possible, but it definitely is worth every minute we spend." Indeed! Have you ever heard a Rotarian speak about their personal experience participating in a polio eradication exercise, a cleft lip/cleft palate mission, or work on a humanitarian grant? 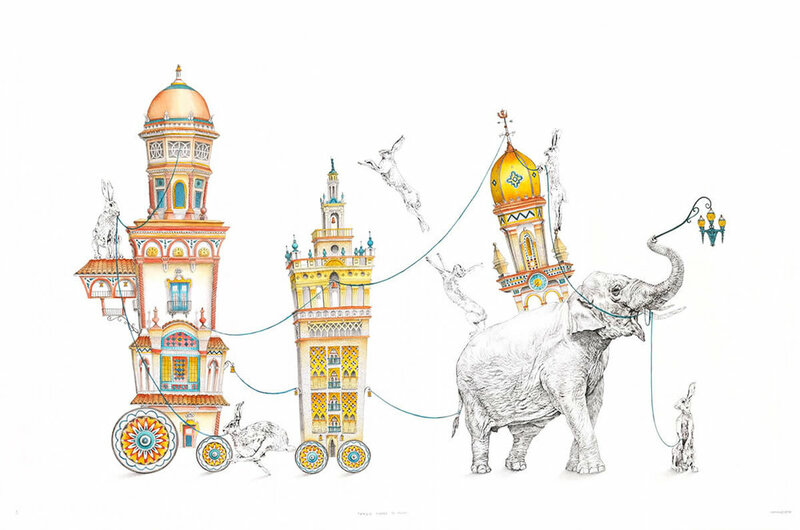 These trips have a profound effect upon the individual. For those of you who have gone on one of these trips you know, and for those of you who have yet to enjoy this experience, you should. In October 2017, North American Rotarians will travel to Accra, Ghana for a life changing experience. HEY! Why are you wearing that tired ol' clip Badge?? Have a broken or outdated Club Badge? Just want to replace your clip back with a magnet back one? We will place a bulk order (gets us a $2 discount) after the Friday August 18 meeting. Please see us at the Sergeants at Arms table or contact Scott Weaver to place your order. Barb Shelly will talk about the biggest challenge in education you've probably never heard of. $5,000 District Grant application with a focus on Maternal and Child Health was submitted on July 14th. 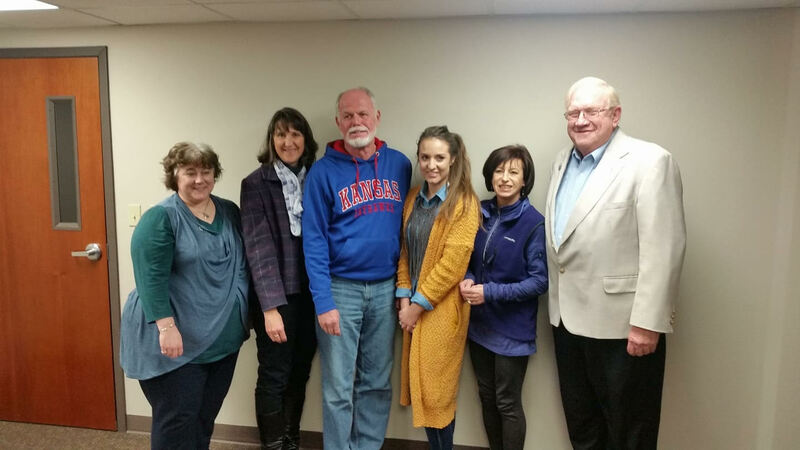 The Plaza Rotary Club, in coordination with the beneficiary Hope House, will purchase and install four sets of clothes washers and dryers in the existing residential shelter in Independence, Missouri. 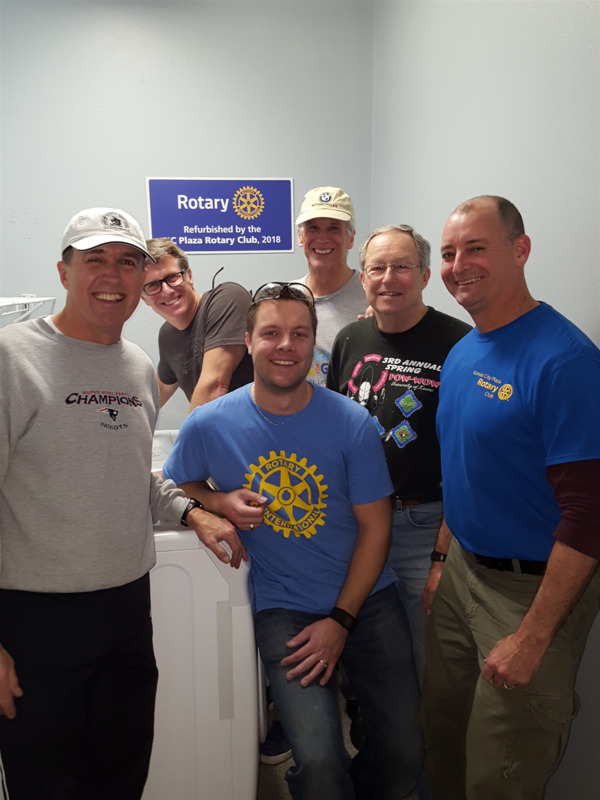 Plaza Rotarians will repaint the entire laundry facility and install needed and appropriate shelving. The washers and dryers purchased in this project will replace older, worn-out equipment that requires frequent and costly repairs. The objective is to provide necessary and dependable laundry equipment and facilities for residents (women and children) who cannot afford to use off-campus laundry facilities, often do not have adequate transportation to access off-campus laundries, and, more importantly, whose safety may be imperiled if they are seen in the community by their spouses or partners or their friends and associates. If the grant is approved, the Club is committed to completing the project by March 1, 2018. Time to Make ClubRunner Updates? When was the last time you updated your ClubRunner profile? Make time to update your phone, address, photo, work info, email address, and anything else that you might need. Thanks! "Read This... " Guided Journals, presented by Annie Presley & Christy Howard. We have a great line up of speakers through December-- check them out here! Out of town on a Friday morning? Would you still like to make up a meeting, but can't squeeze in a live meeting nearby? Here's another option. Visit Rotary e-Club One for an online meeting. Please join us for our first meeting of the new Rotary year and the first official meeting as president for President Jeff Chapman. Games for Good – Raised $29k that allowed us to distribute $11k each to Hope House and Urban Rangers and contribute $7k to the Plaza Rotary Foundation. Terry Berkbuegler and Bob Merigan led a Committee including Rich Linden, Eric Wymore, Beth Bahner, Paul Temme, Bill Moran, Cassy Venters, and Frank Bales. They were supported by many, many other club members in planning and on the day of the event. The Club was awarded a $2,400 District Grant, matched by our fundraising, for the renovation of a storage room to a classroom at Urban Rangers. Club members participated in the planning and renovation. Special thanks to Kile Morrison, Bo Steed, Jason Parsons and Will Hodgkinson for their efforts working with Erik on the design and construction. 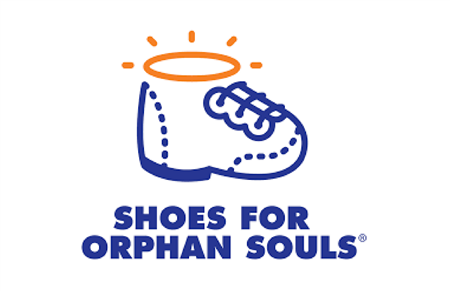 Bill Schmidt, Frances Reddis, Randy Steinman, Jim Lloyd and Mike Theobald led the Club Shoes efforts resulting in 1,348 shoes being donated to the Shoes for Orphans Souls. Each year, particularly during our Shoes Caravan and Shoes Roll Call, I am humbled that a number of Rotarians in our clubs indicate to me they are interested in taking a Shoes Delivery Trip. Over the years, we have coordinated a few of these trips with Buckner, to Guatemala and the Dominican Republic. With the caveat that they are definitely adjustable - any of these could be Saturday to Saturday or Saturday to Sunday, etc. 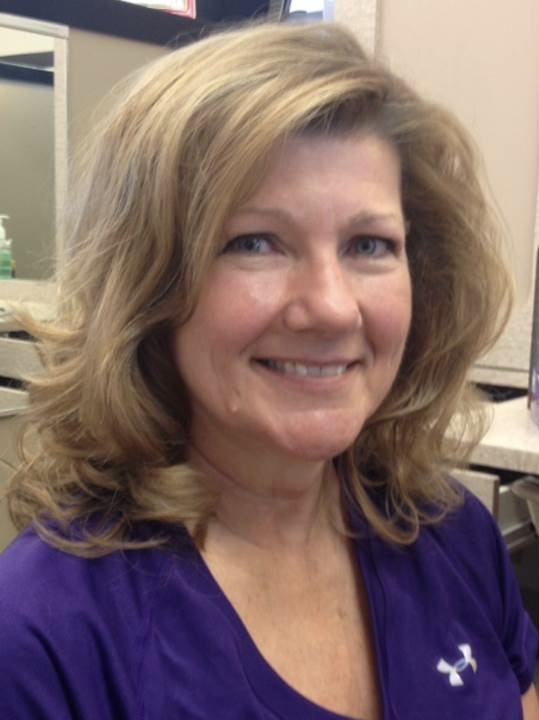 The Plaza Rotary Club Board is pleased to announce that we have approved the membership application of Kathy Woods. 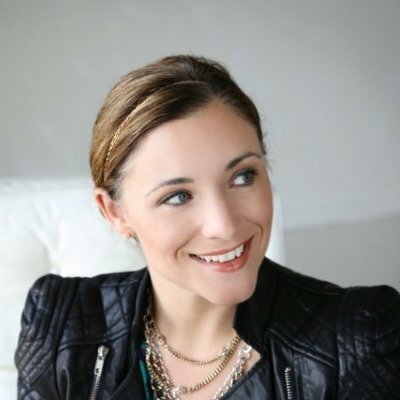 She is a lawyer and partner at Shaffer Lombardo Shurin. 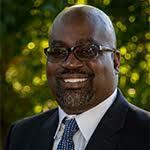 If anyone has any comments or concerns they should contact Drue Thomas at william.thomas@umb.com. Assuming there are no concerns she will be inducted in the weeks ahead. 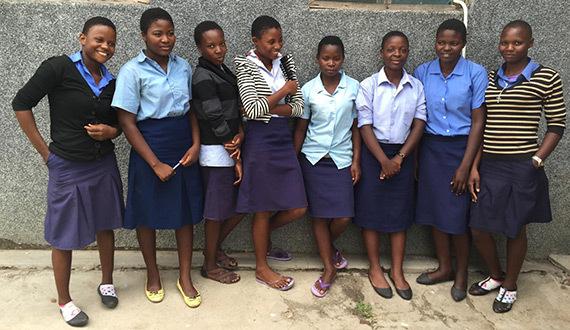 Our club's efforts in helping the Girls of Malawi was noted in the Rotary Voices blog. Be sure to read more about Bill & Cindy Schmidt and Elizabeth Usovicz' work there. If you are planning to go to Atlanta for the Rotary International Convention, make time to go to Elizabeth's Break-Out Session on Monday, June 12 from 1:30 to 3:00 PM. Find your list of Break-Out Sessions Here, or download the app. For 4 years I have been working in the Dominican Republic to start a Rotary-funded Microcredit project, designed to provide women heads of households living in poverty the needed funds to start their own businesses in the hopes they can use the profits to lift their families out of poverty. Today, the women in the photo graduated from a financial education programs as part of their loan application process. 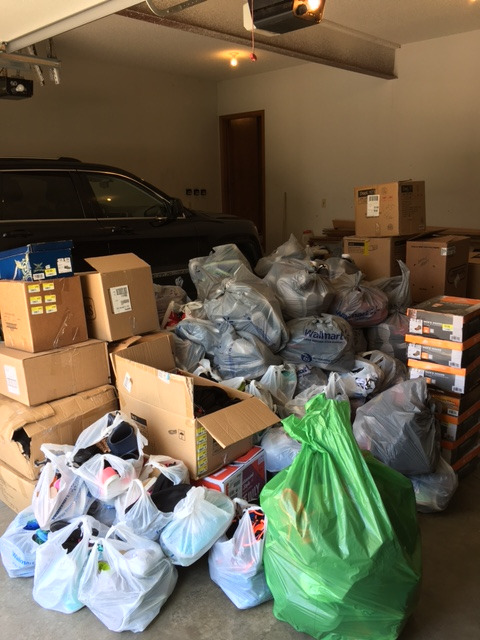 Our shoe tying/packing party will be next Saturday, April 22nd, at 2:00 pm at 1219 SW Wintergreen Lane, Blue Springs, Mo 64015. Snacks and drinks will be provided. Please RSVP to Frances Reddis if you plan to help out. 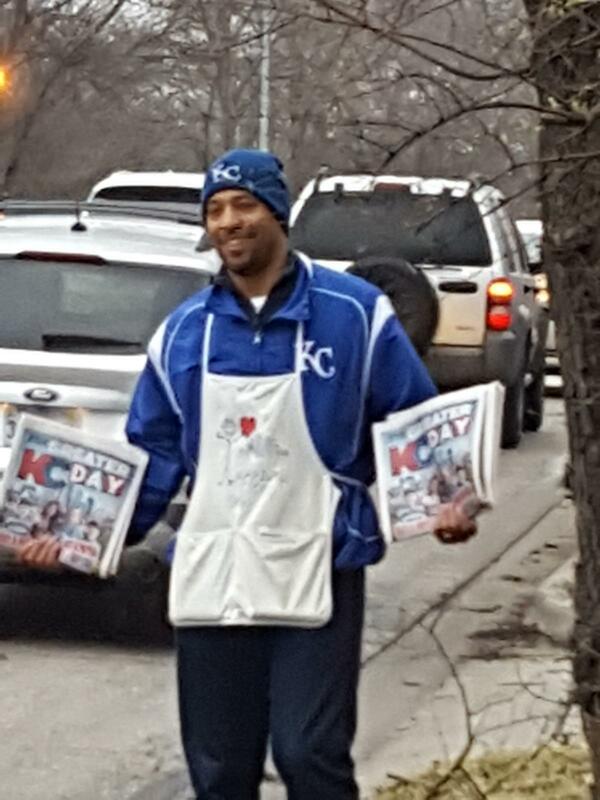 Plaza Rotary Club worked hard to sell newspapers at the corner of 95th & Wornall last Monday, April 10th, to support Rotary Youth Camp. If you have news or updates for the Plaza Rotary Club website, newsletter, or Facebook page, or would like to share photos of club events, please send an email to plazarotarypr@gmail.com. Don't worry, you can add photos and info to our Facebook page any time! BIG thanks to the Rotary Club of Kansas City Plaza for their generous donation. URC is proud to be a recipient of proceeds from the Club’s Games For Good. 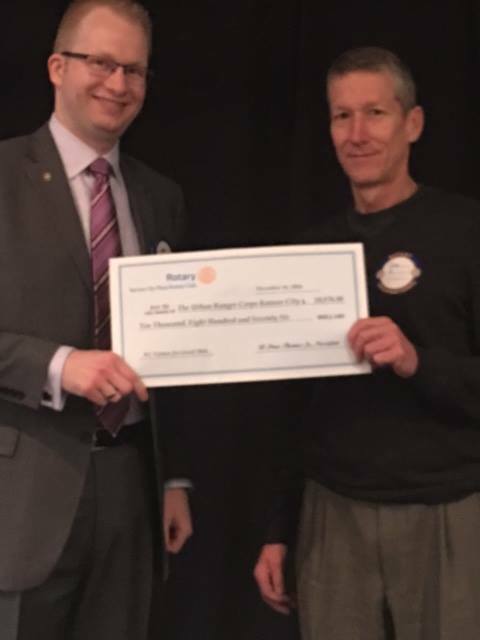 URC Board Member, Joe Sweeny, accepts a check for $10,876 from Drue Thomas, President of the Kansas City Plaza Rotary Club. What a great way to show our young men that others are helping us bring “hope” in their brighter futures. 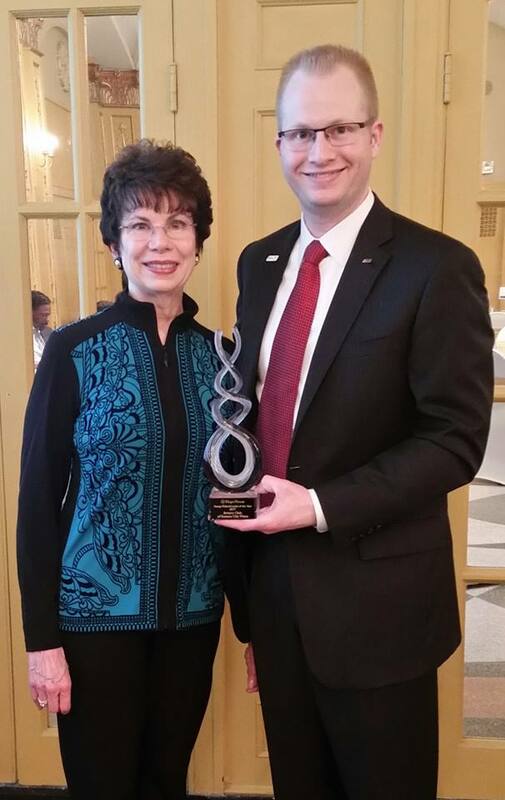 Plaza Rotary Club was recognized and received the 2017 Visionary of the Year Award for it's commitment and contributions to Hope House on Thursday, February 16th. President Drue Thomas took time for this photo with his mother, Mary Jean Thomas, at today's Hope House Everyday Hero lunch. 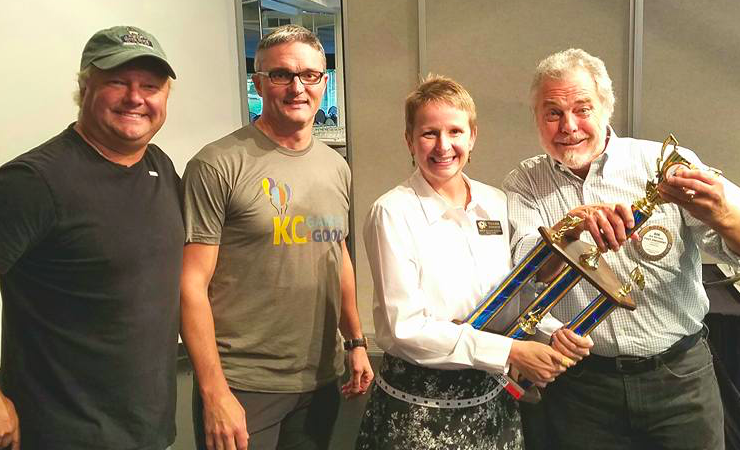 The Kansas City Plaza Rotary club was recognized with the Hope House Visionary of the Year award for our financial support and projects over more than 10 years. Lots of good reasons for all of us to smile! Check out our pics on our Facebook page from our club's 30th Anniversary Celebration! Drue Thomas is pleased to announce that Terry Berkbuegler was chosen as the 2016-17 Club Champion for the Plaza Rotary Club, which was announced at the District Conference Lunch last Saturday. 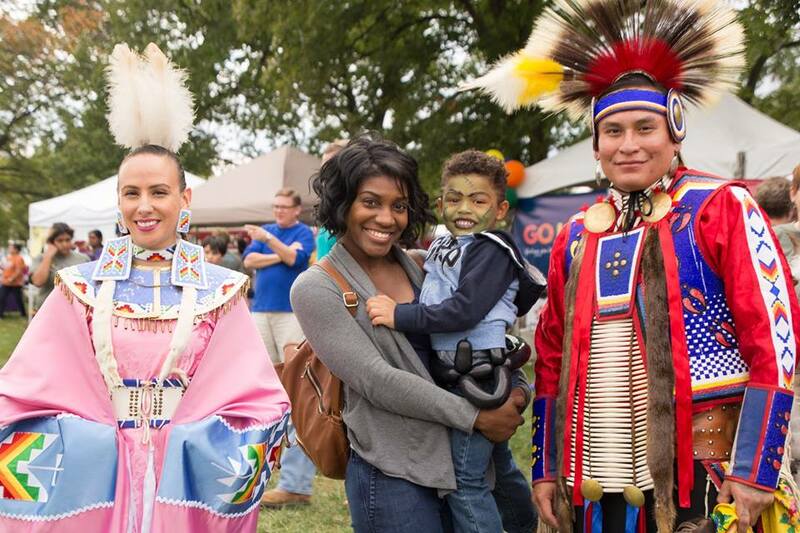 2016 KC Games for Good- SUCCESS! 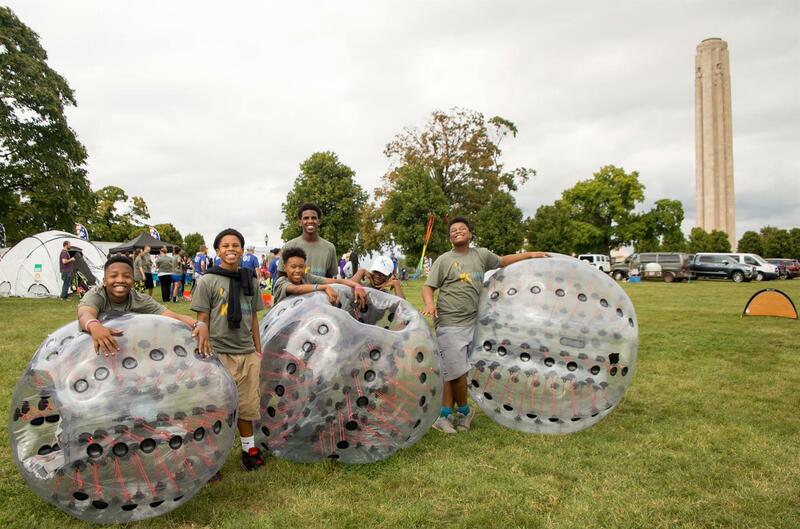 Exhibitors, Players, and Visitors all agree-- this year's KC Games for Good was a blast! 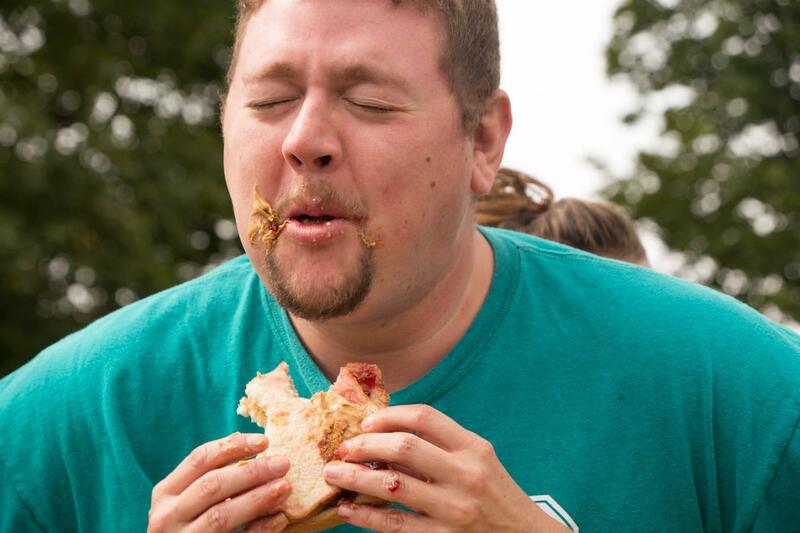 After a year of planning, the KC G ames For Good Committee's efforts pay off big. Twelve teams competed fiercely in Bubble Soccer, Nerf Archery, Giant Jenga, Harvester's Feed a Hungry Soul, Wiffle Ball Home Run Derby, Water Relay, and Heart to Heart International Palette stacking.